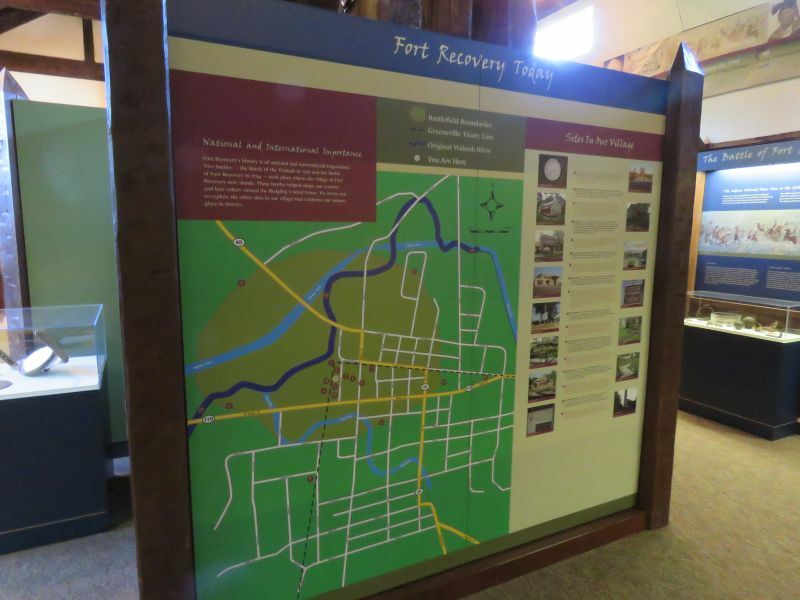 Ohio History – Fort Recovery. 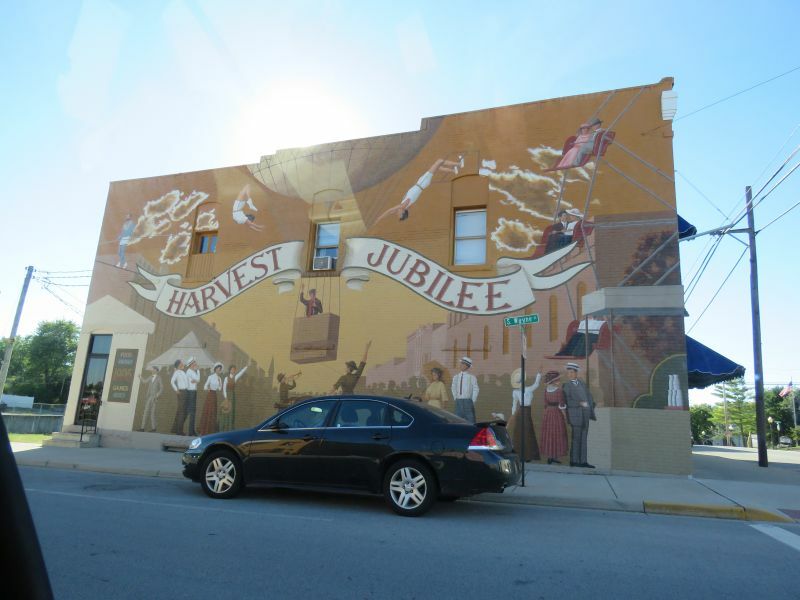 Last September, I visited a small Ohio town chock-full of history. I enjoy visiting such places in my state, seeing the architecture, parks and special attractions, but this one deserved a post of its own. 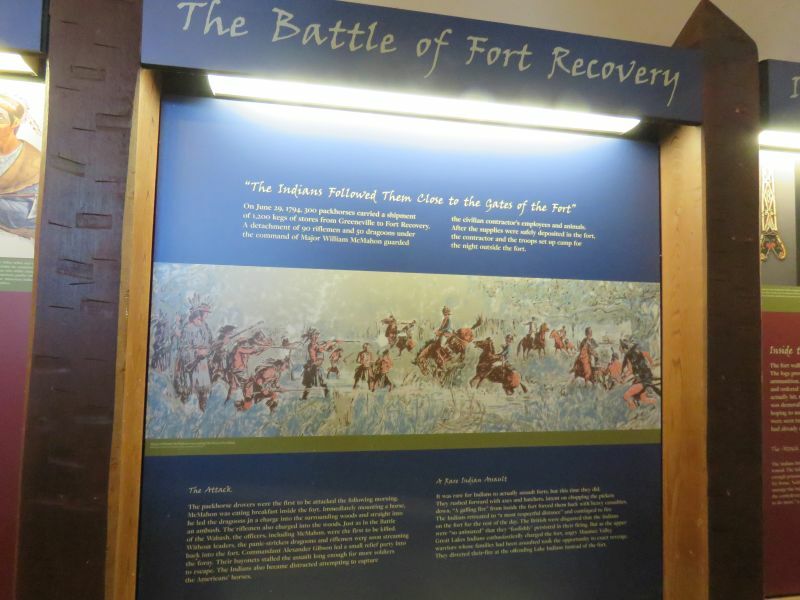 Fort Recovery is located on the Ohio-Indiana border in western Ohio. 1,400 people live there; agriculture is the predominant business. 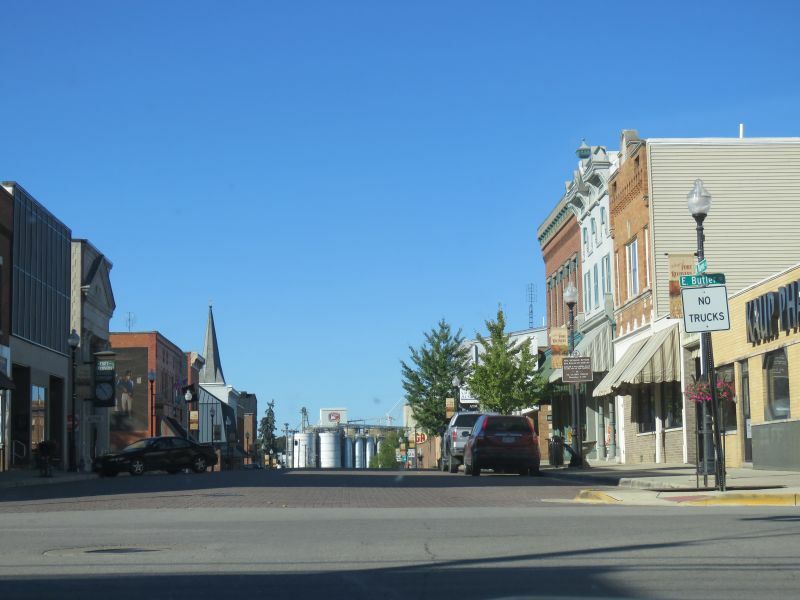 I was in the town on a Sunday afternoon- it was pretty quiet and relaxing, like most small towns. People occasionally drove on the roads with golf carts. 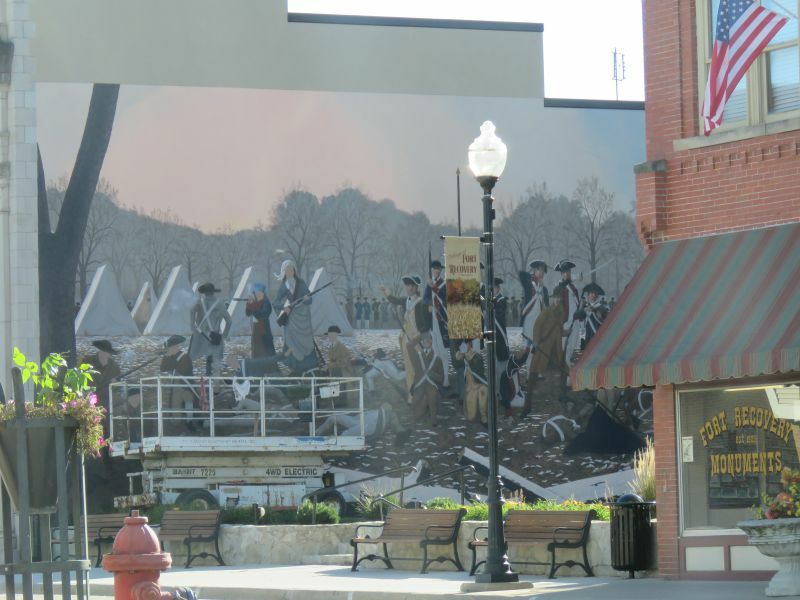 There were several murals in town depicting historical subjects. This really gives the place ‘personality’. I just had to add this- there was an IGA grocery store in town. I grew up in a small town with one of these, I rarely see them anymore. 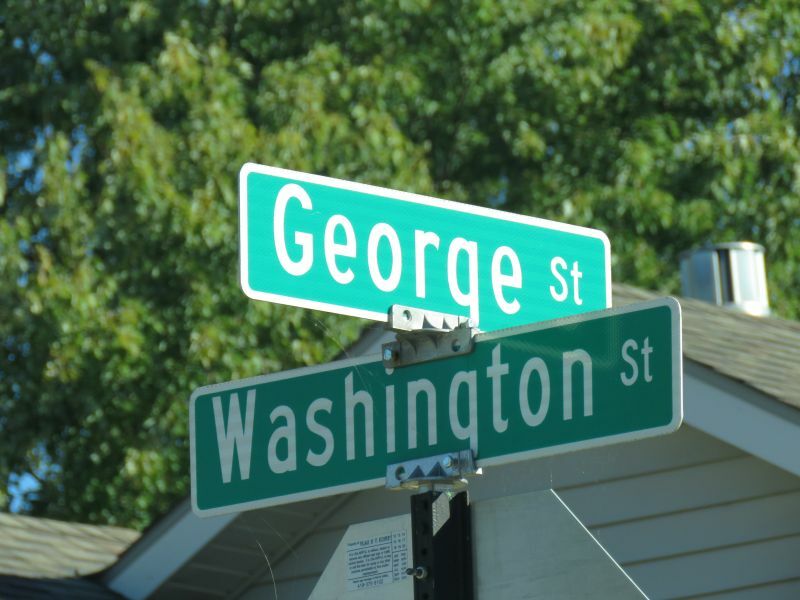 Street names reflected the historical theme. And history is present in many locations here. 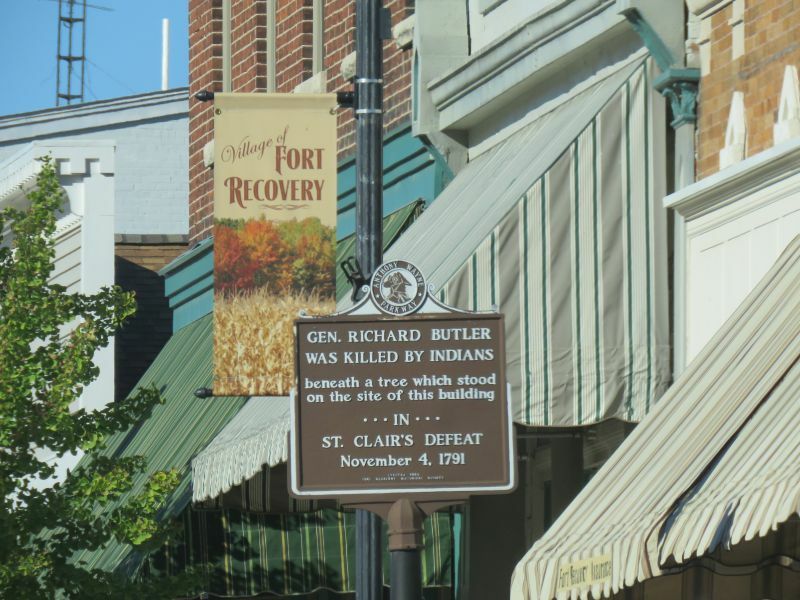 Right in the middle of downtown, there was a marker where General Richard Butler– an officer in Arthur St. Clair‘s militia force that was probing the Native American forces in the area in 1791- died in the largest defeat American forces ever suffered at the hands of Native Americans. 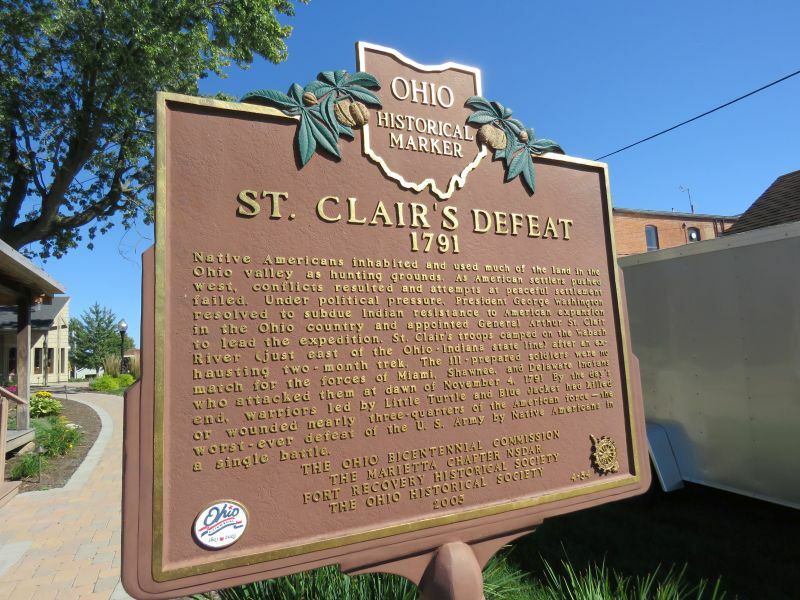 It is usually called St. Clair’s defeat. Between 600-900 whites were killed by the Indian Confederacy led by famed chiefs Little Turtle of the Miami tribe and Blue Jacket of the Shawnee tribe. Butler had been severely wounded by a bullet, and told his two brothers to leave him under a huge oak tree. Warriors were overrunning the battle field and the militia was fleeing in panic. Butler was given two cocked pistols and left propped up against the tree. His bones would be found two years later. Here’s the sites I visited in the area that day. 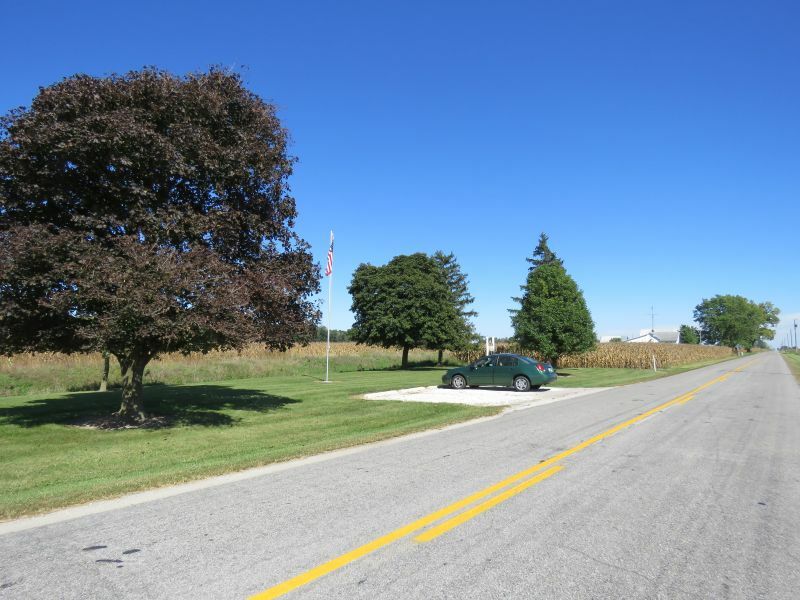 Not far outside of town along State Route 49 was a tiny park in the middle of endless rows of corn. 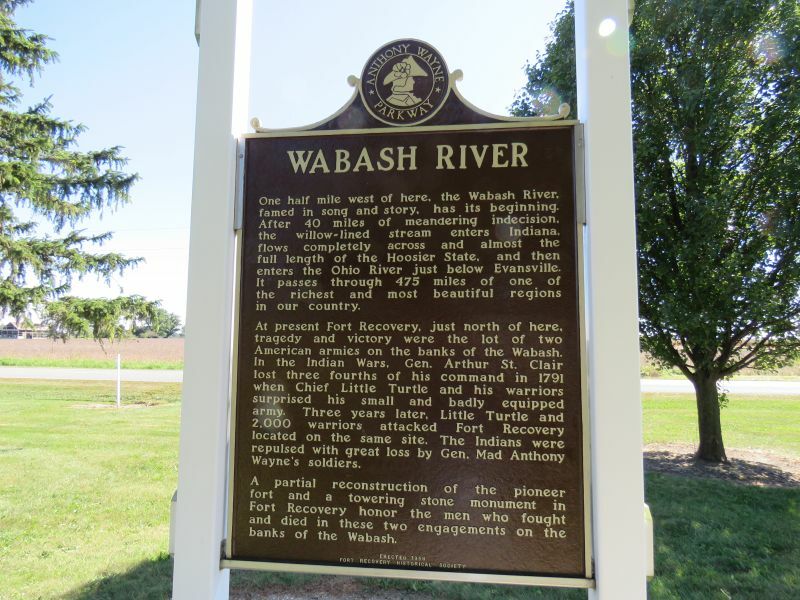 I pulled in and found that this area was where the Wabash River formed. 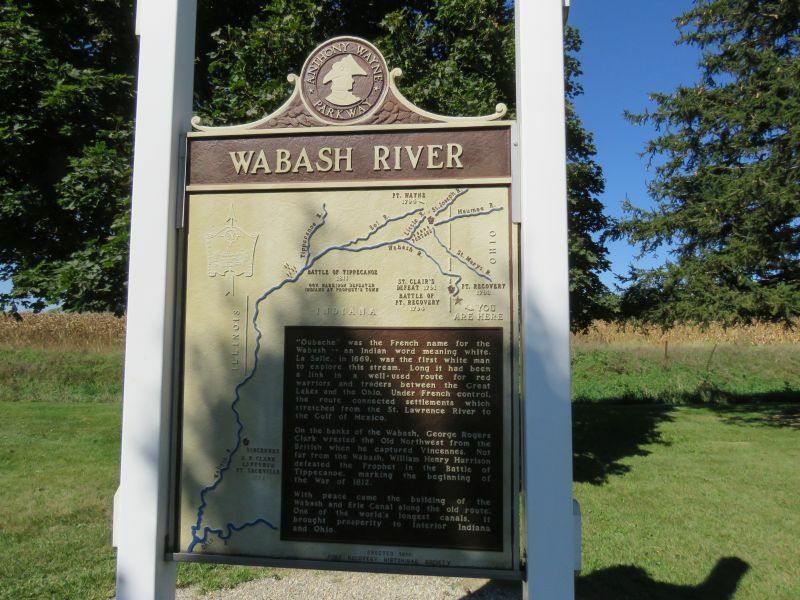 The Wabash flows on to drain most of Indiana, forming its border with Illinois before running into the Mississippi. 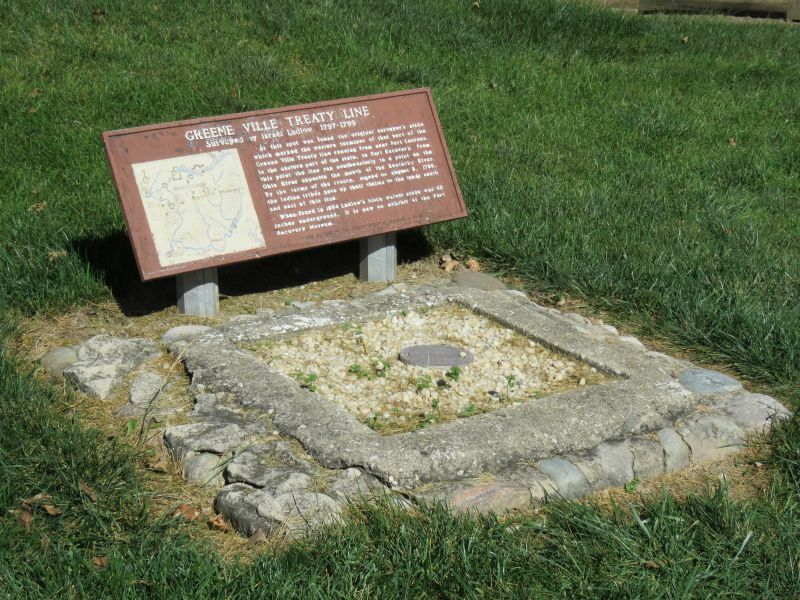 Long used by Native Americans as a trading route between the Great Lakes and the Ohio River, it was first mapped by French explorers in the 17th century. 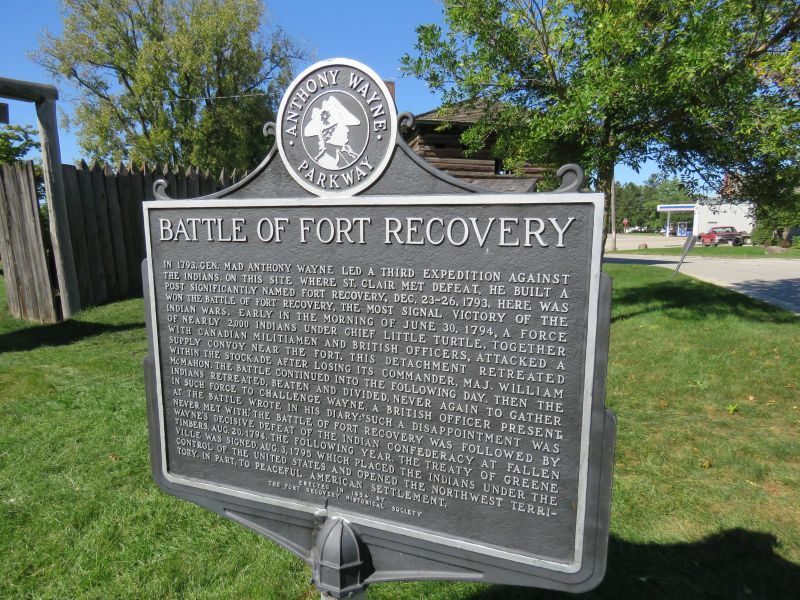 This river has seen much history- no less than five battles have taken place near its banks, two of which happened in the area now occupied by Fort Recovery. 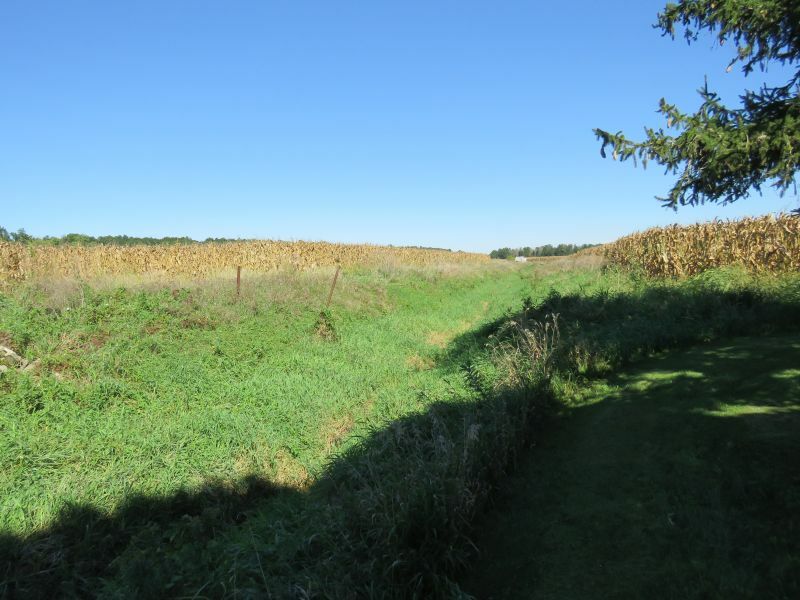 The river used to run right by the site of Fort Recovery, but its course has changed over the centuries, particularly to channel its flow around farmland. It’s humbling to think that this small trickle of water eventually becomes a major river and joins with the Mighty Mississippi as its largest northern tributary. 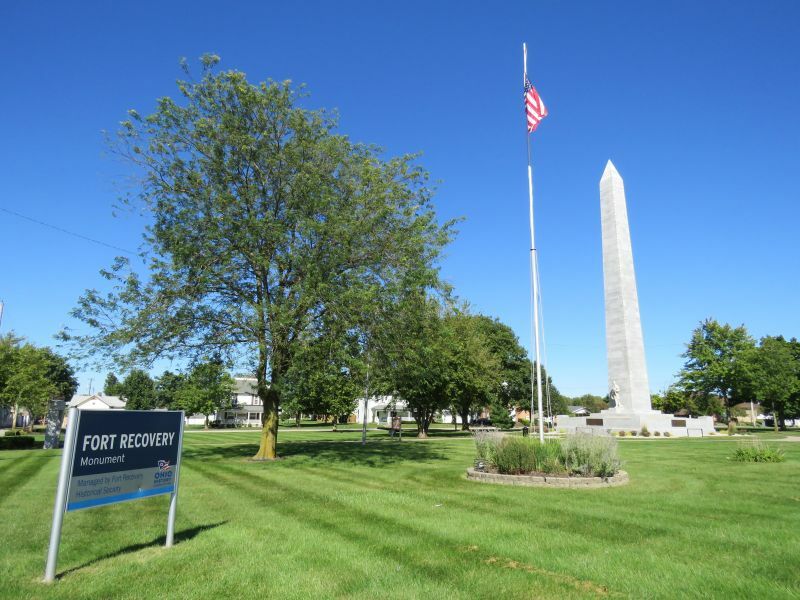 In town, a must-see place is Fort Recovery Monument Park. 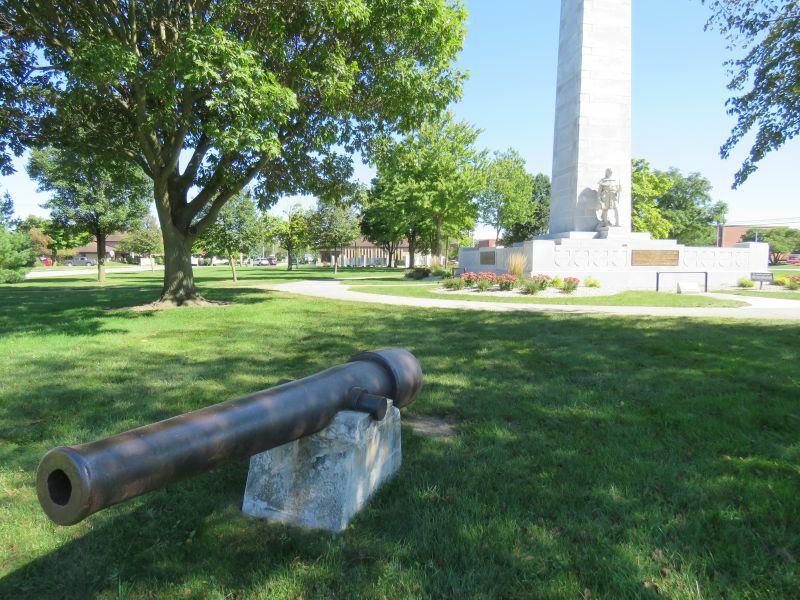 This park has a large obelisk, a pair of cannon, markers and plaques with information about the site, and a veteran’s memorial. 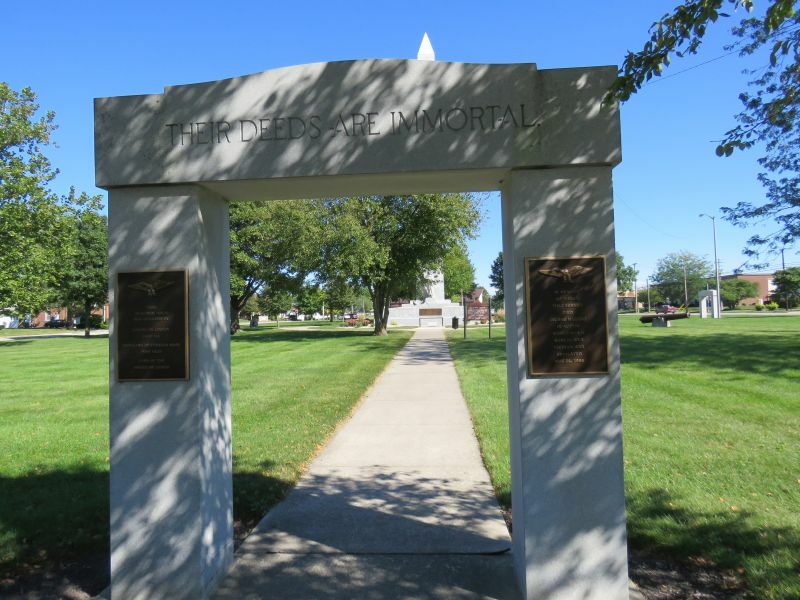 In 1908, President William Howard Taft signed a bill that allowed for the building of a monument in Fort Recovery. 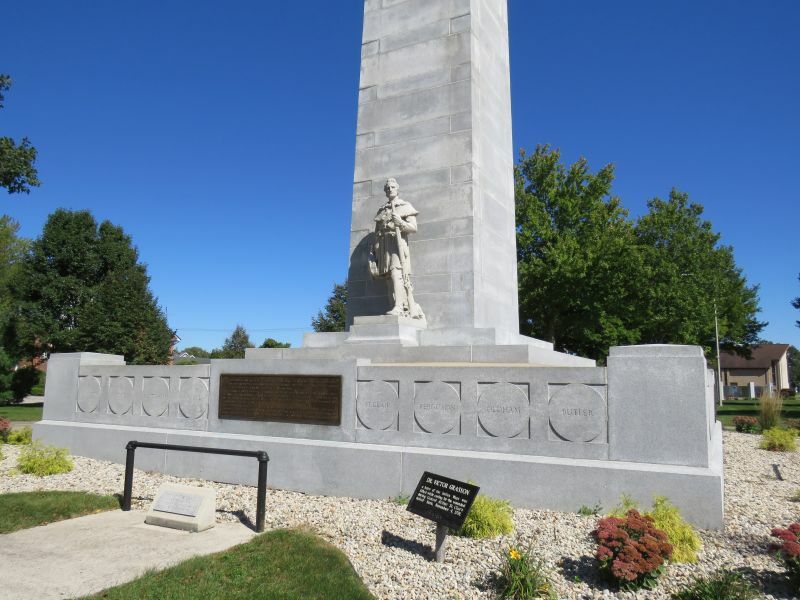 The monument was built in 1912 and dedicated on July 1, 1913. 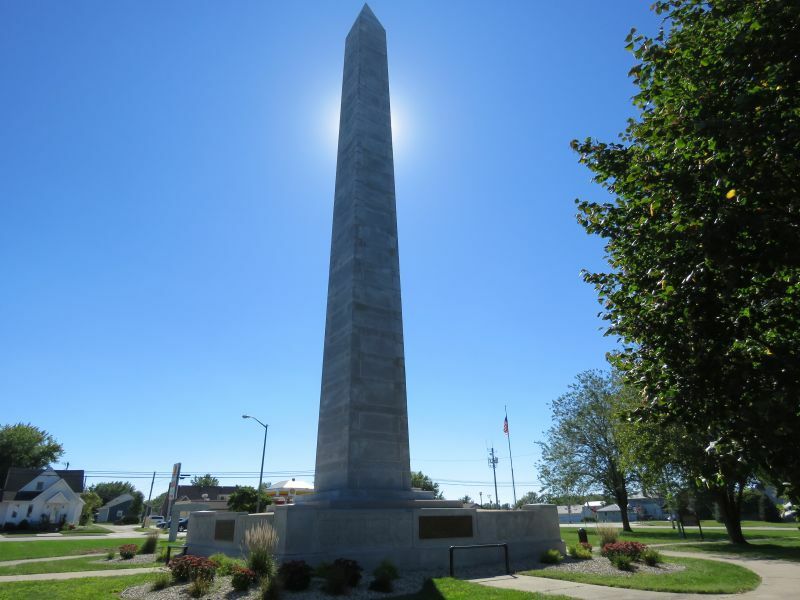 The obelisk stands at 101′, 4″ tall. It weighs approximately 800 tons and cost $23,700 to build. 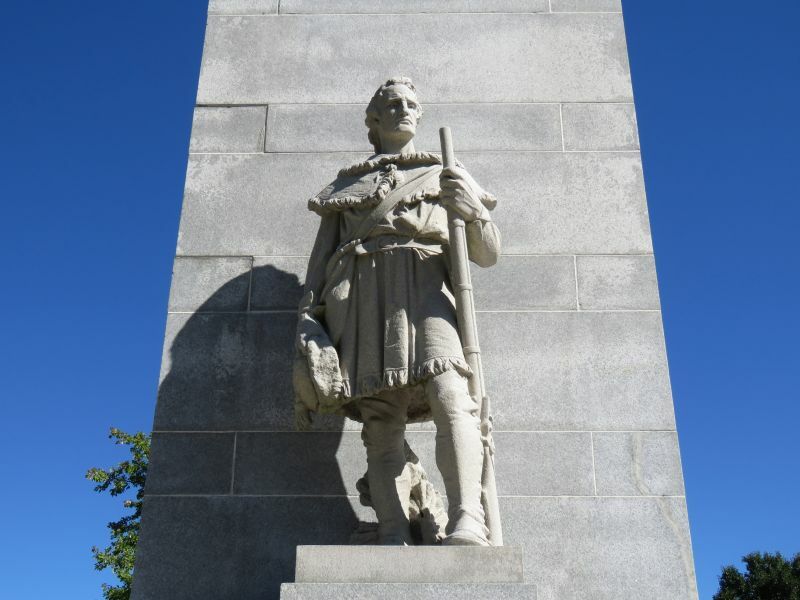 The nine foot statue depicts a frontiersman facing west and looking out at the beautiful land into which he triumphed. 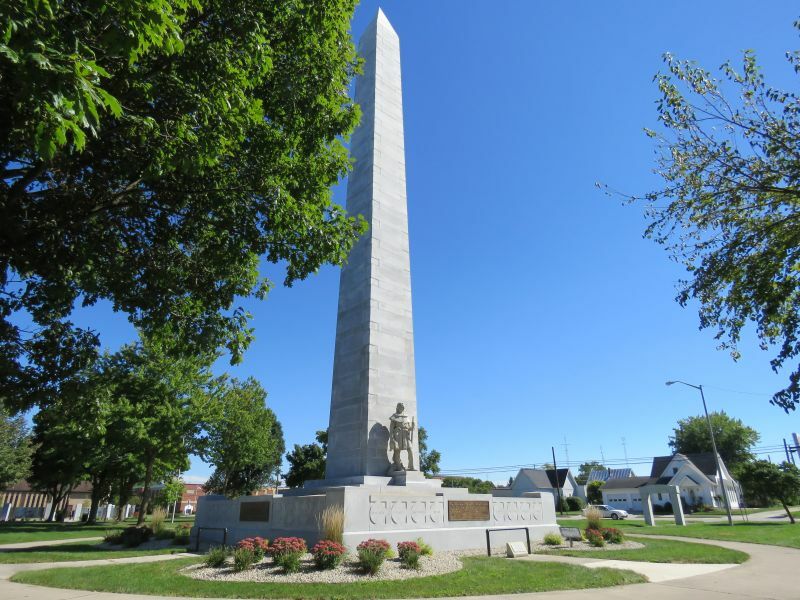 Underneath the base of the monument are the remains of those people killed under the commands of Arthur St. Clair and Anthony Wayne. 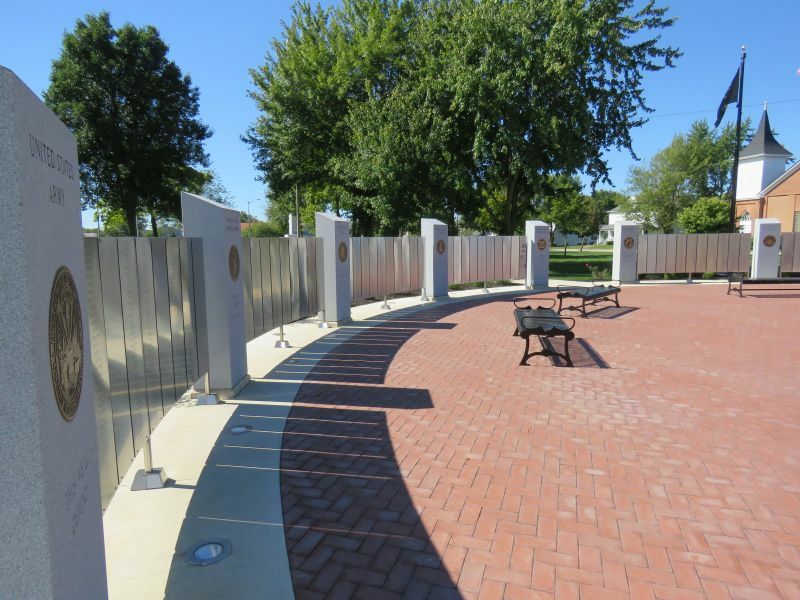 32 medallions surround the base of the monument, each inscribed with the name of an officer killed in battle here. 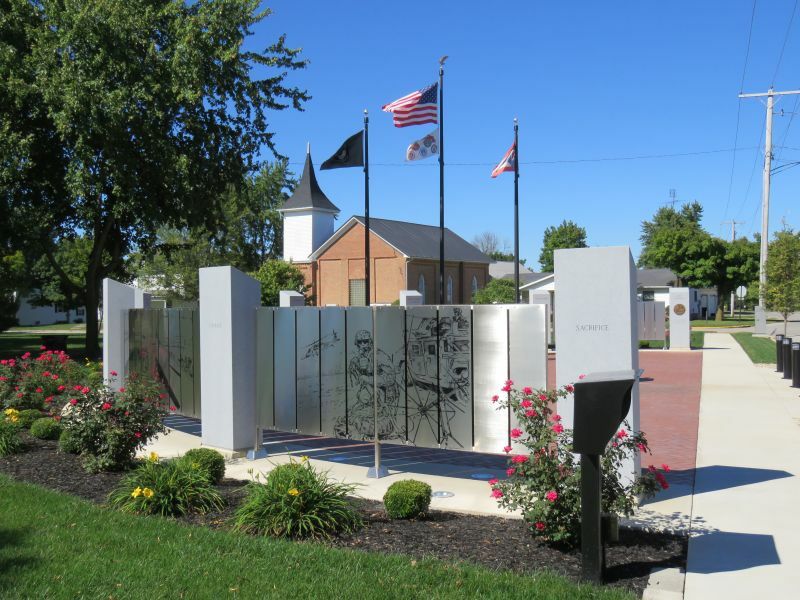 Four bronze plaques also surround the base of the monument. To this day, each Memorial Day weekend, over 900 crosses are placed in Monument Park in remembrance of the fallen soldiers. 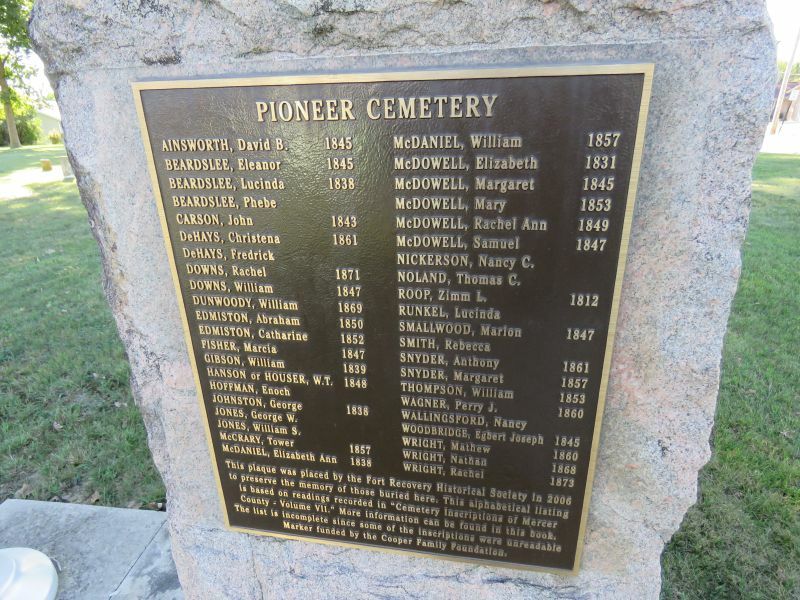 Several blocks away is the oldest cemetery in Mercer County. 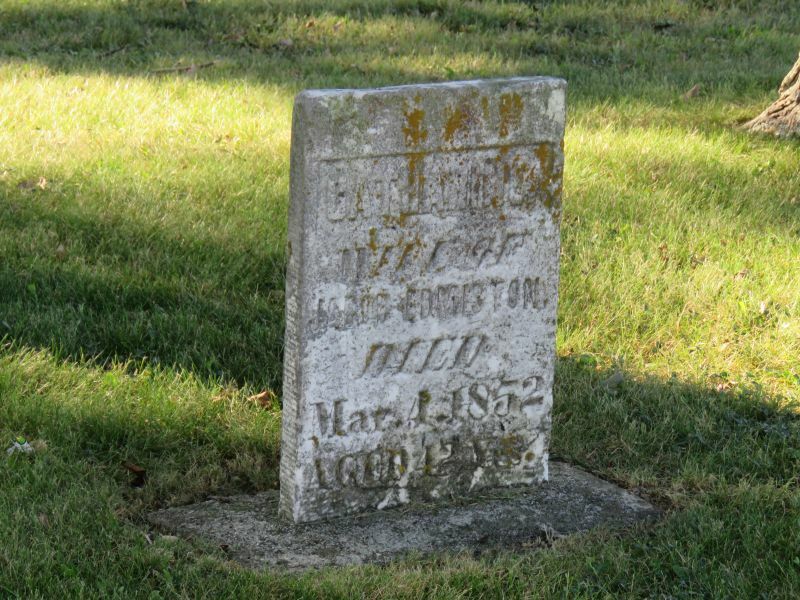 Mr. & Mrs. John Simison, two of the earliest pioneers in the area, were buried here in 1820. Other pioneers followed when their time came. 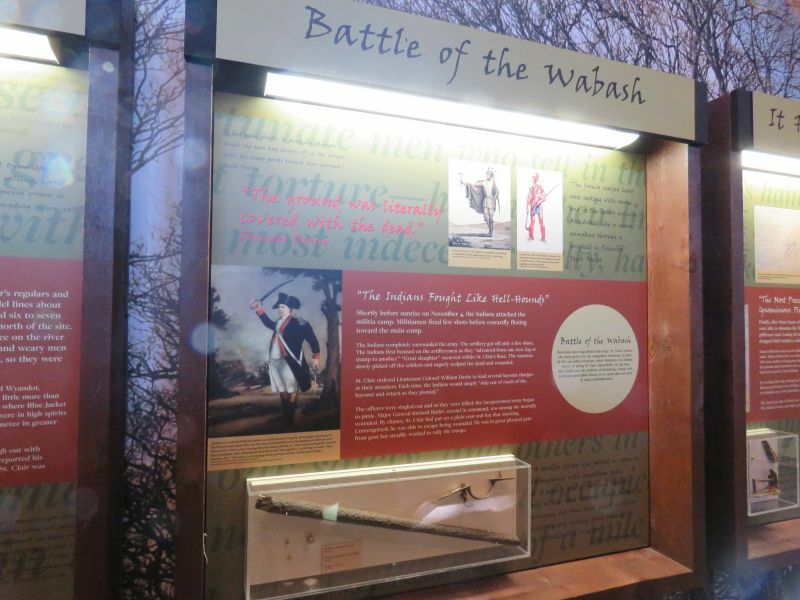 In 1851, bones of militiamen from St. Clair’s Defeat were found along the banks of the Wabash River. They were interred here with 5,000 people looking on. In 1891 the remains were re-buried at Monument Park. Only the pioneers remain. 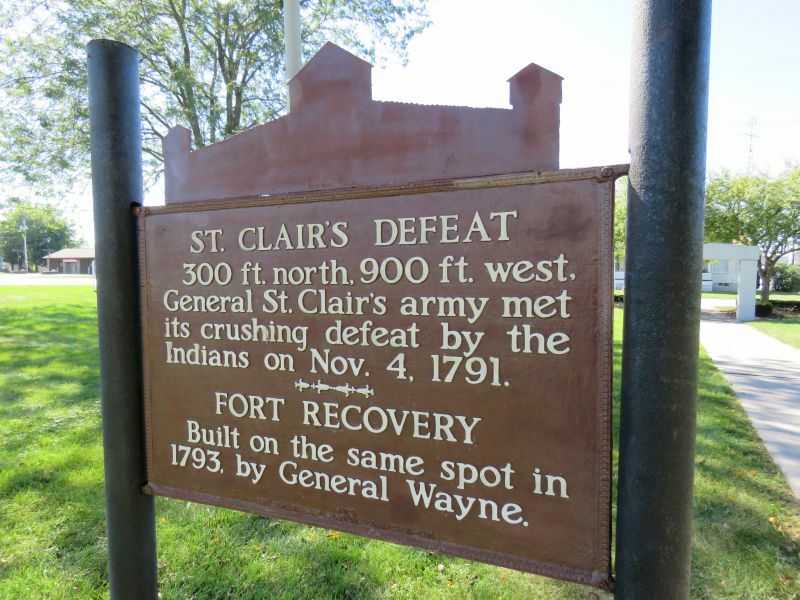 The two main events commemorated at Fort Recovery are St. Clair’s Defeat and Wayne’s Victory, also known as the Battle of Fort Recovery. The latter battle was a response to the former. The young United States wanted land, the only real wealth it possessed at the time, and through dubious treaties with Native Americans claiming to represent whole tribes it bought a substantial part of the Northwest Territory (the Ohio Territory being the closest to the states). Native Americans combined into a great confederation- the one really successful confederation they made- and fought to keep their land. 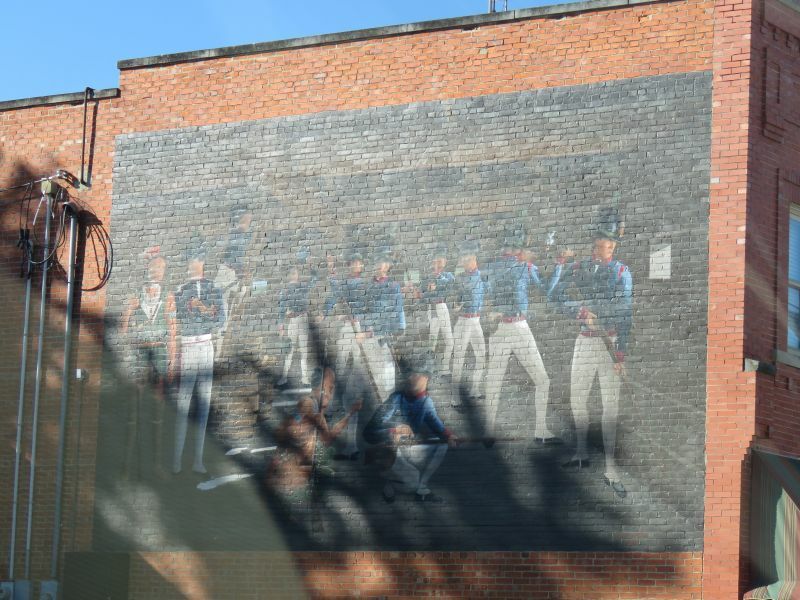 After St. Clair’s Defeat, President Washington persuaded Congress to create a standing army to conquer the Ohio Territory (and beyond). So the Legion of the United States, commanded by Revolutionary War hero ‘Mad’ Anthony Wayne, was born. 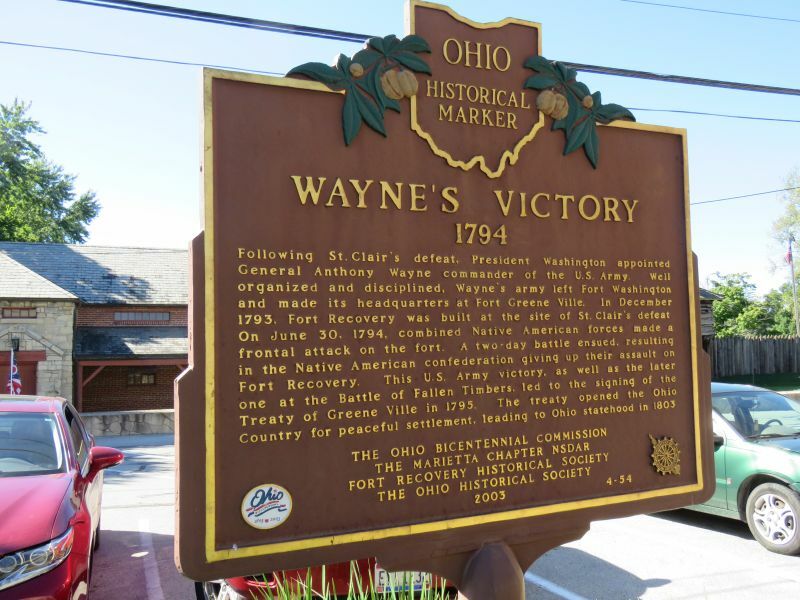 Wayne and the Legion were much better-trained and equipped than the typical militia of the time and defeated the Indian Confederation. 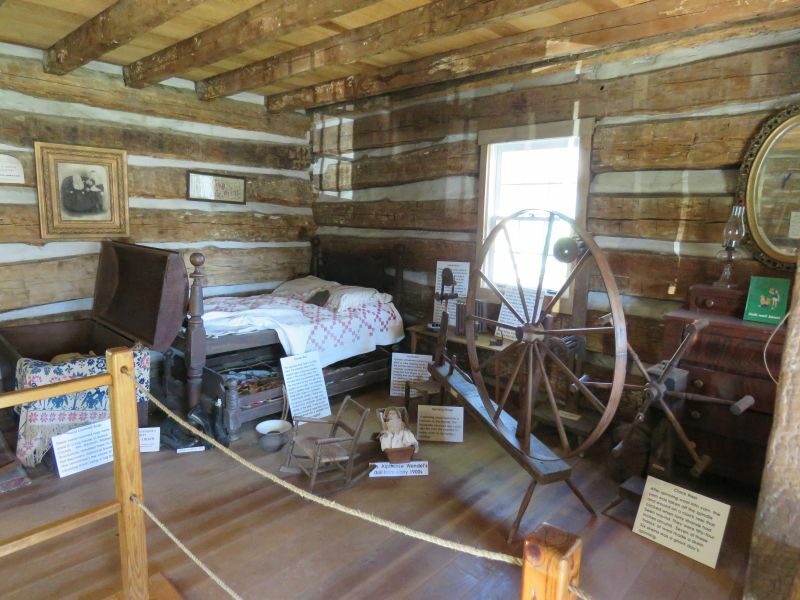 This log cabin- the home of Delores and John Eischen- was originally built in 1840 and was moved near to the museum. 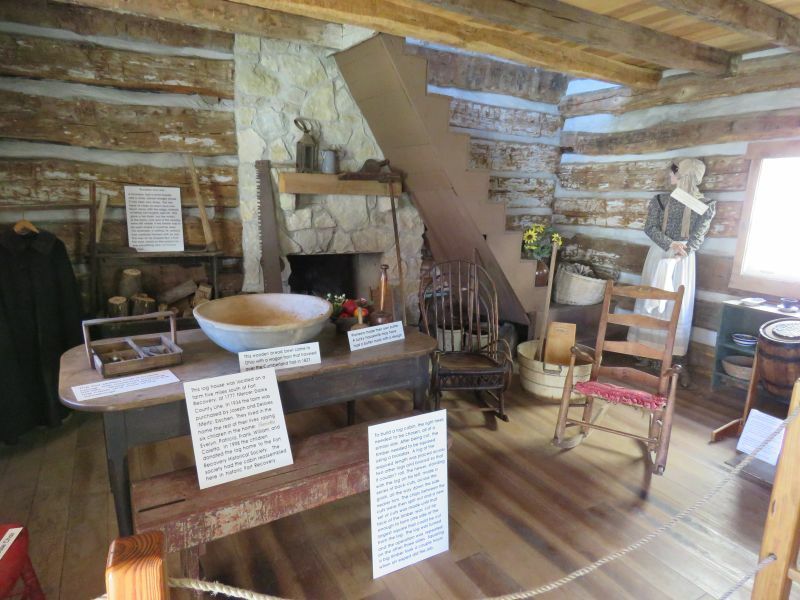 Many 19th century items are on display there. 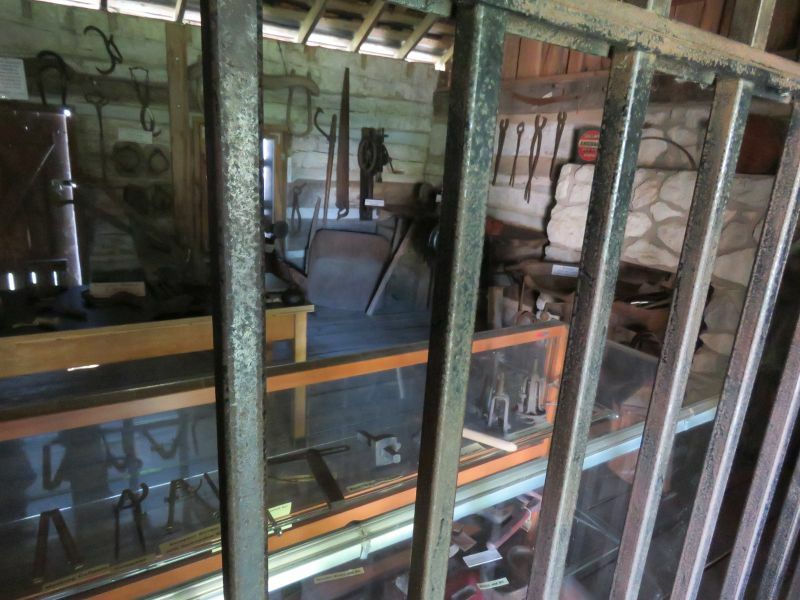 At the museum park, there is a blacksmith shop and tool shed. 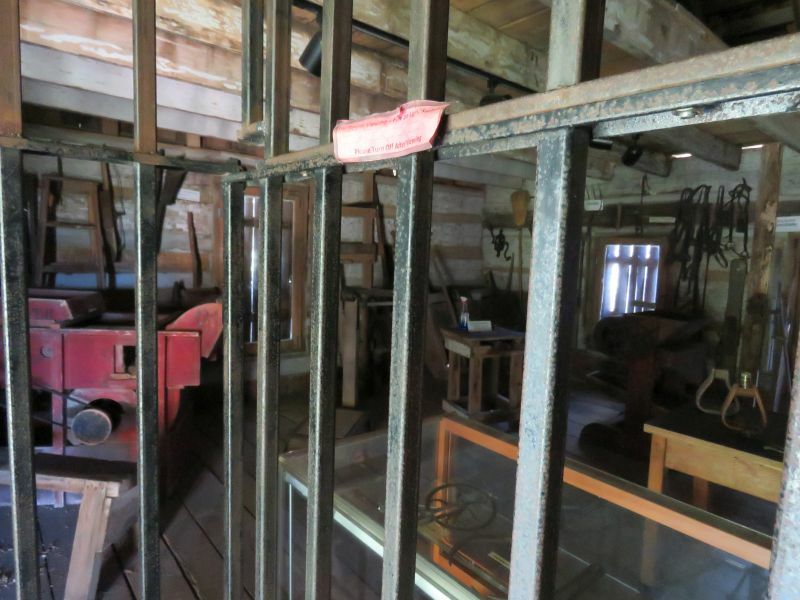 Seeing all of the 19th century tools reminds one that life was rather hard then, compared to our current situation. 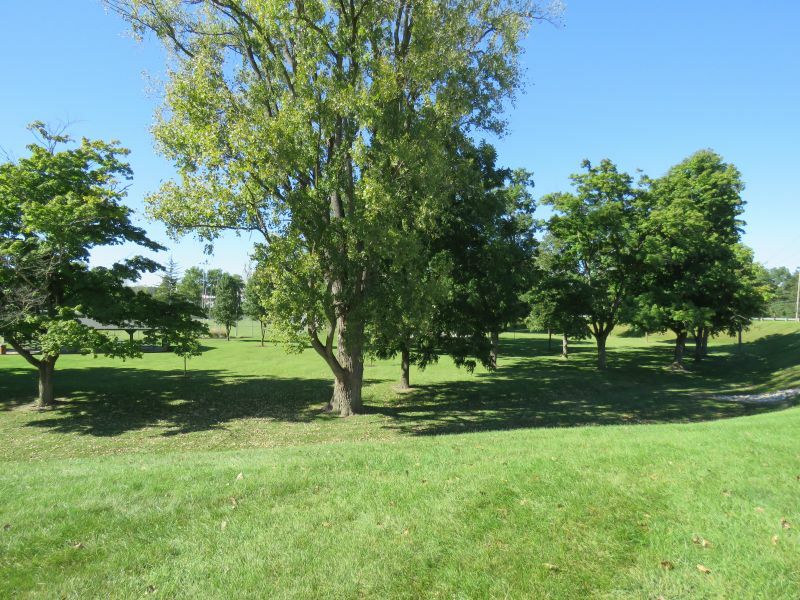 This area of the grounds is where the Wabash River flowed in the 1790s when the fort was built near its banks. 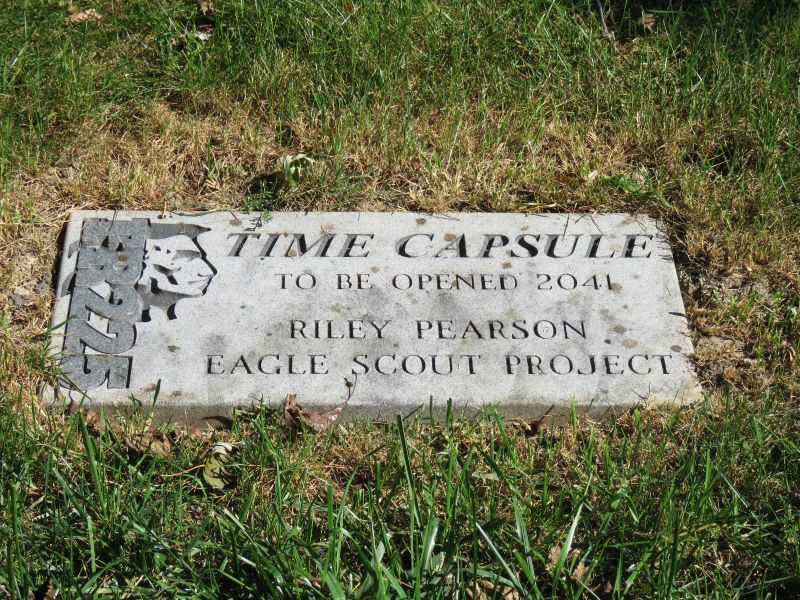 Time capsules are cool! I wonder what they will think of this one in 2041? 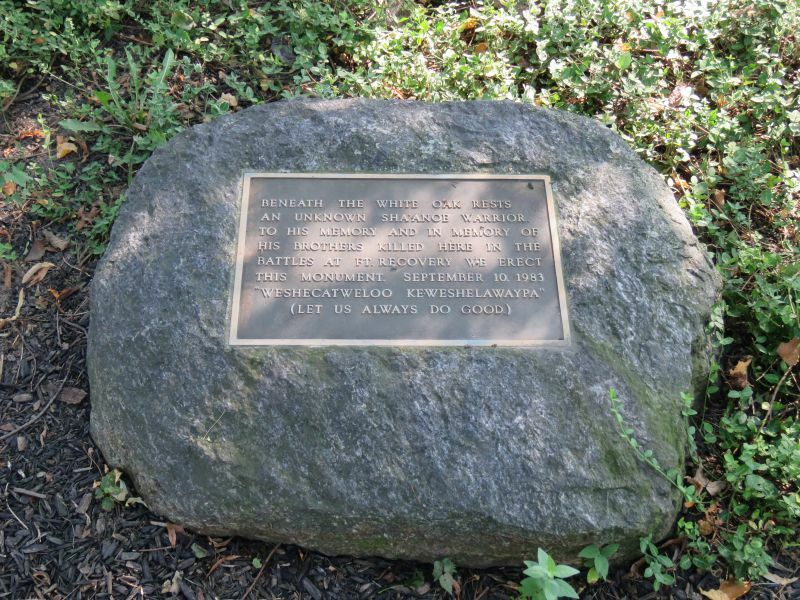 The remains of an unknown Shawnee warrior were buried near this rock. He was commemorated by Native Americans in 1983. 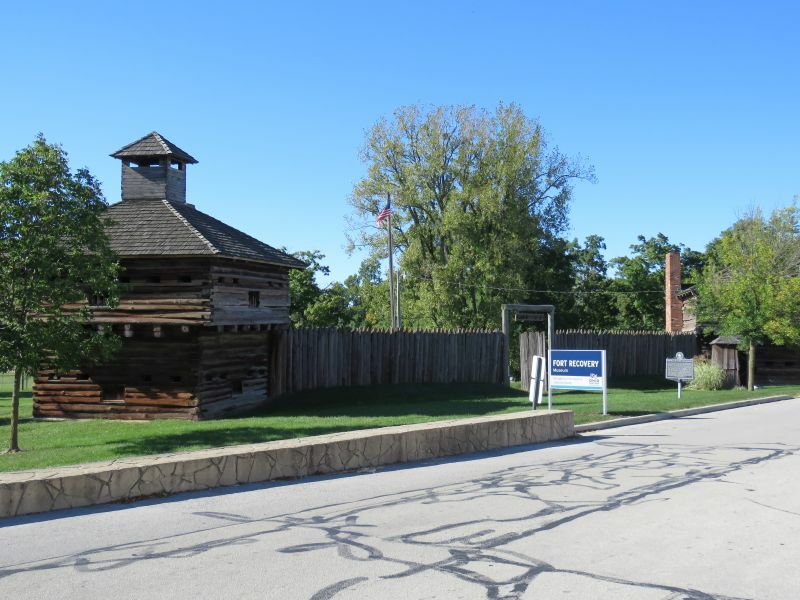 This is a 1956 recreation of two blockhouses and the stockade wall between them- one side of Fort Recovery. 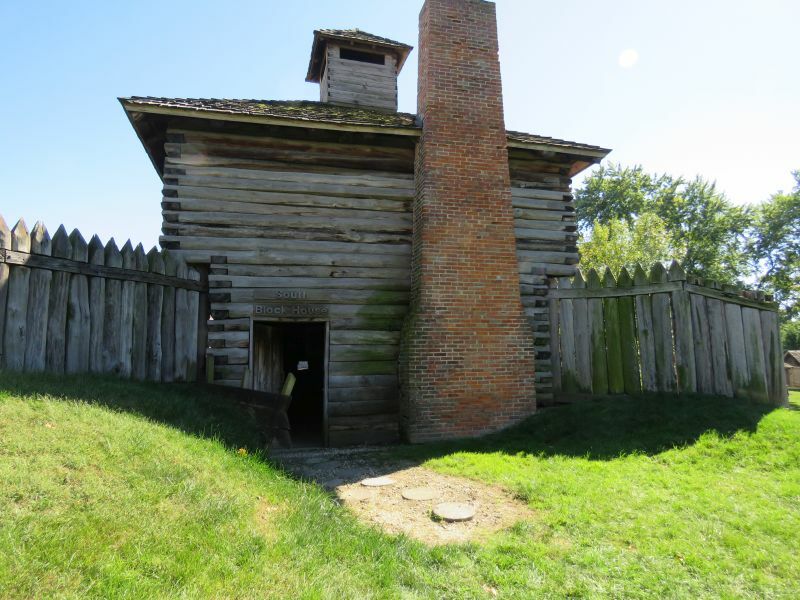 This is how the fort, built by General Anthony Wayne’s thousands of troops over 5 days in December 1793 in the Ohio wilderness, would have looked. 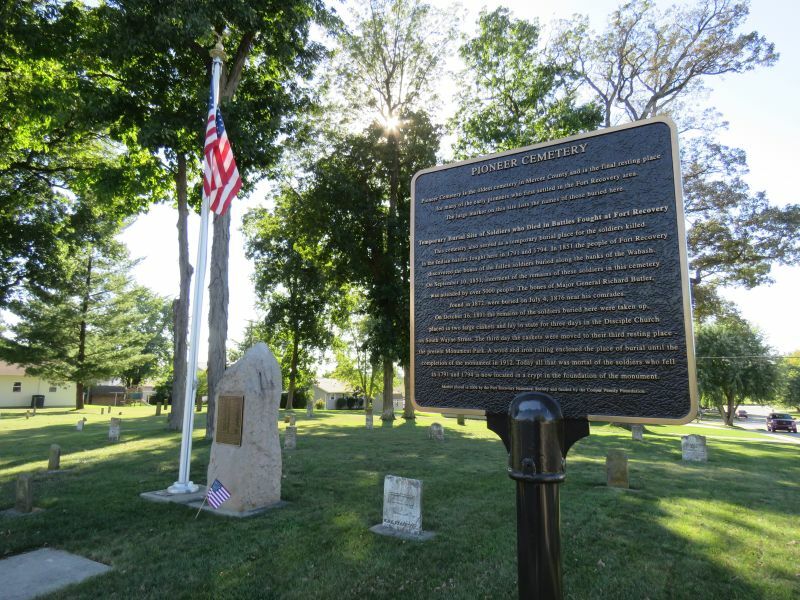 It was named Fort Recovery because Wayne’s Legion recovered the bones of hundreds of militiamen scattered over the ground from St. Clair’s Defeat here two years earlier. 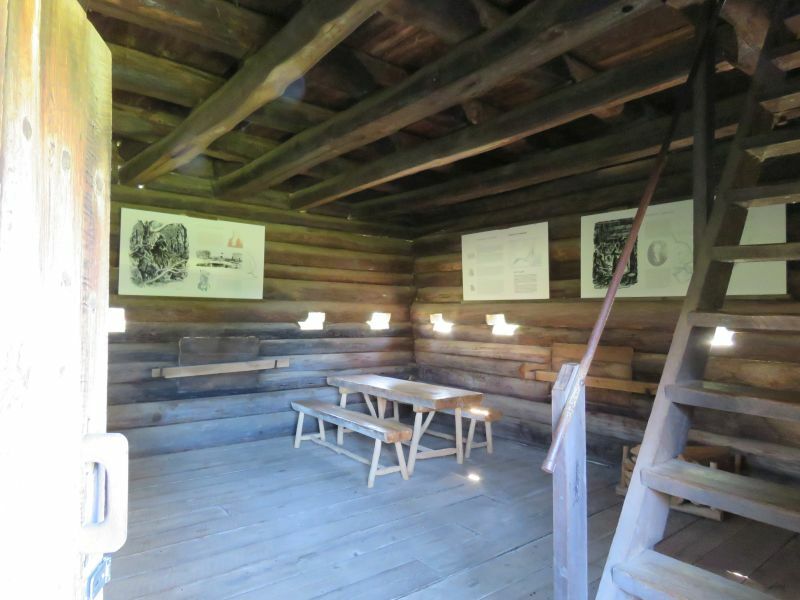 The stockade walls were thick enough to stop musket balls, and short enough that soldiers could fire over them. 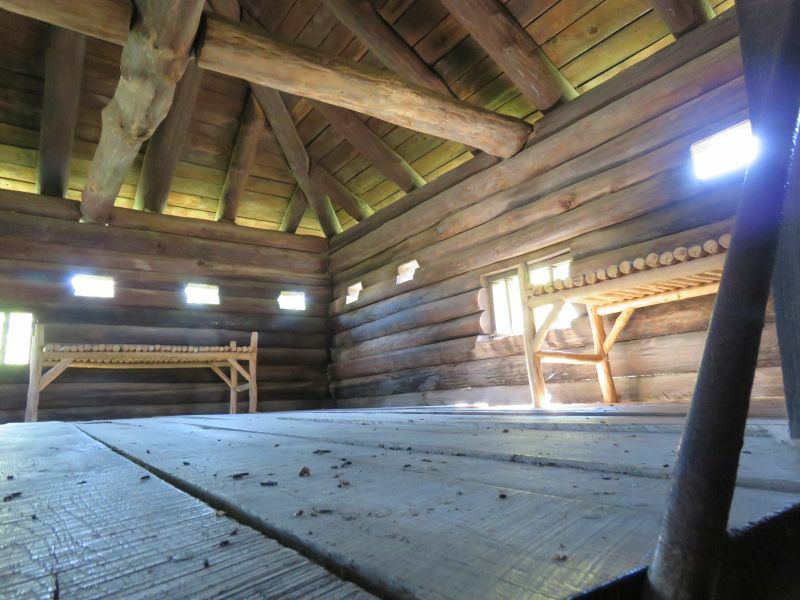 The blockhouses were two stories tall, with a fireplace, benches and beds. Imagine how cold this would be in winter. Soldiers lived in them- the officers got their own quarters. The firing ports allowed soldiers to repel attacks while staying under cover. 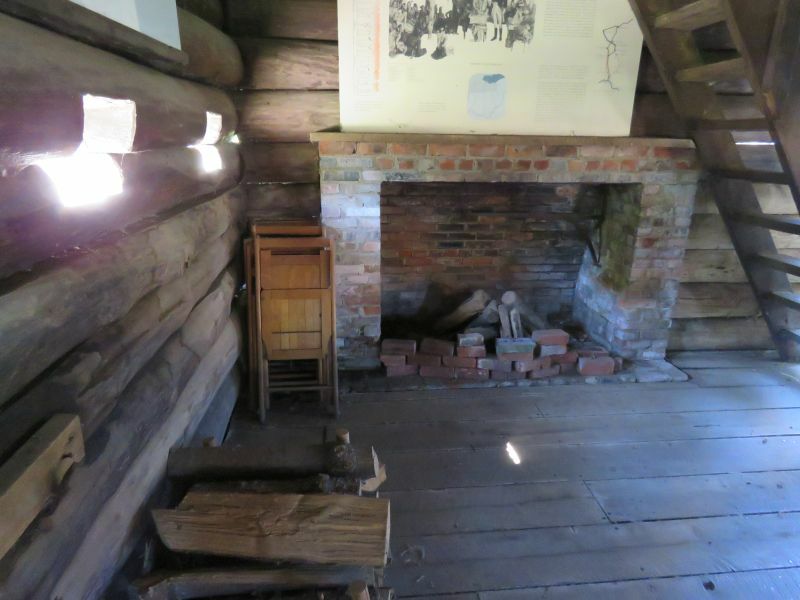 There was an endless supply of wood for the fireplace- outside of the fort. Men would collect firewood under armed guard. Native American warriors preferred ambushes of these parties and supply trains- hit them where they are vulnerable. 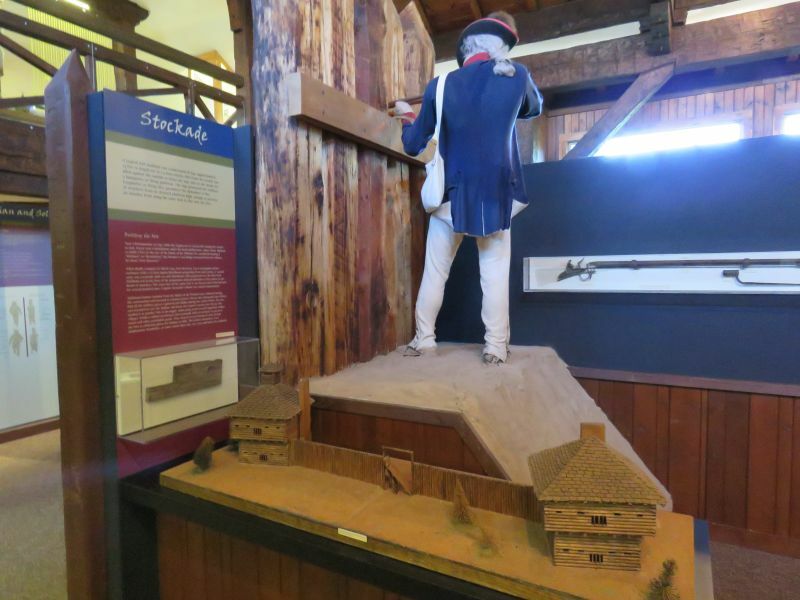 The blockhouses were solidly built. Imagine the boredom of being stationed here, spiced with the terror of ‘Indian’ attack or capture. The Battle of Fort Recovery was fought here in 1794. 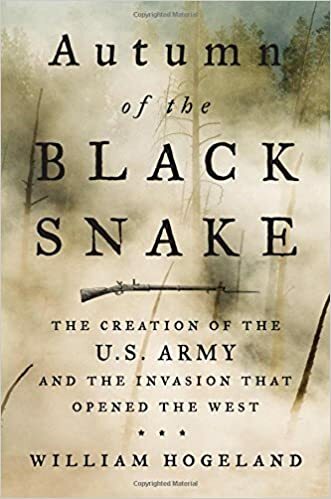 The Indian Confederation under Little Turtle & Blue Jacket that had won the greatest victory over American forces three years ago ambushed a supply train outside of the fort, driving them back inside with losses. Some of the tribes attacked the fort, which was very hard to take without cannon (that their allies the British refused to supply). The warriors were repulsed by fire from the fort, especially the blockhouses. 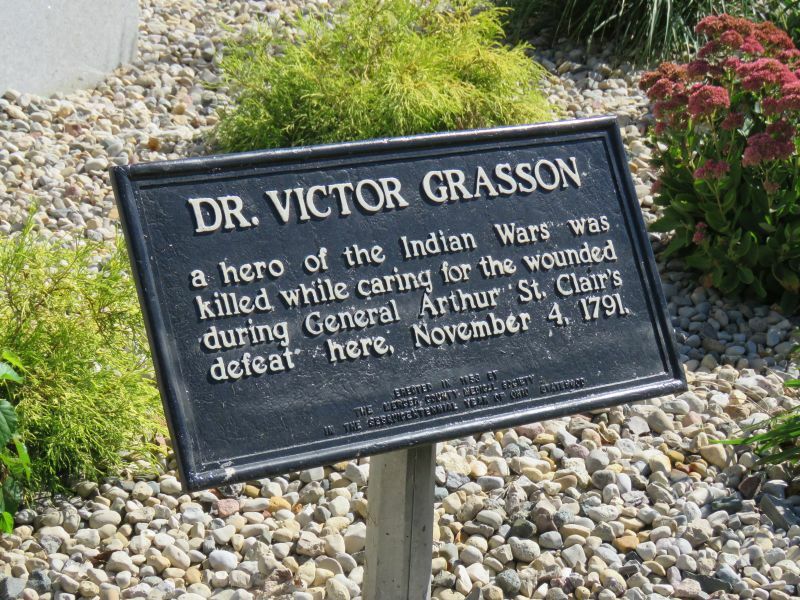 This American victory was followed up a couple months later by the Battle of Fallen Timbers, which decisively defeated the Indian Confederation and led to the Treaty of Greenville, ceding much of current Ohio to the Americans. 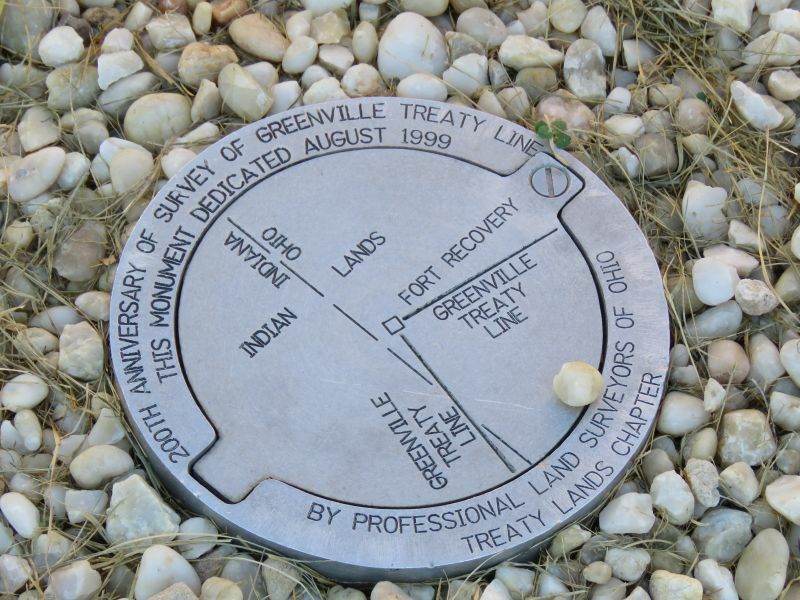 On the grounds of the fort, a survey stake was driven into the ground to mark the western end of the Greenville Treaty Line, dividing tribal lands from newly-conquered American territory. 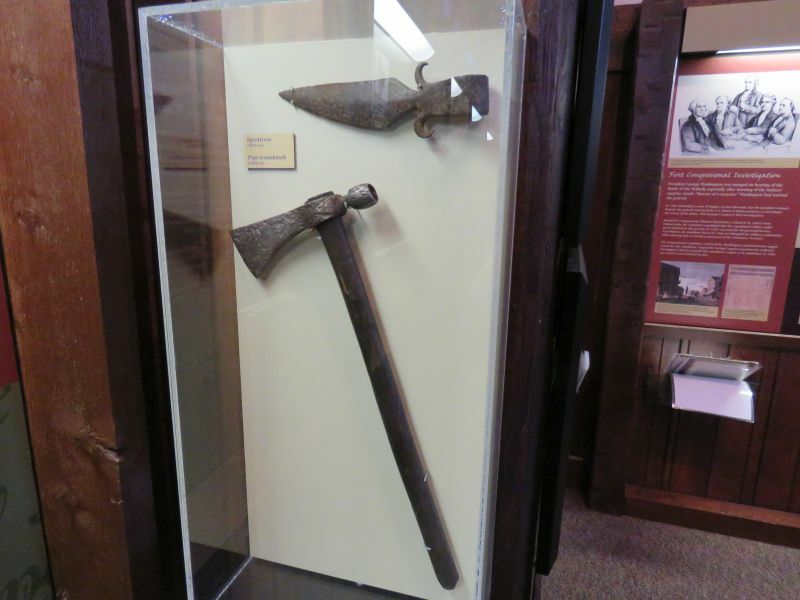 The actual wooden stake, driven in the ground in 1795, was found; it was 42 inches deep. 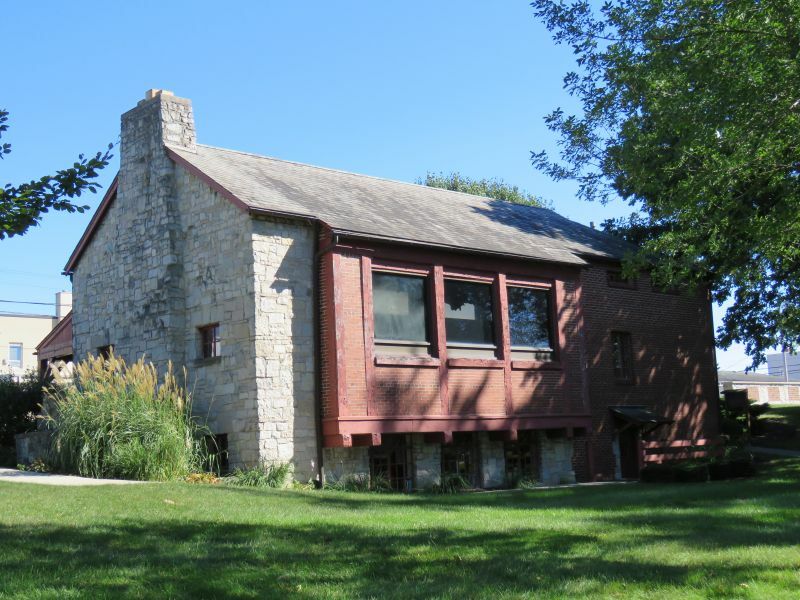 It is now in the nearby museum. A definite highlight of the trip was the museum. 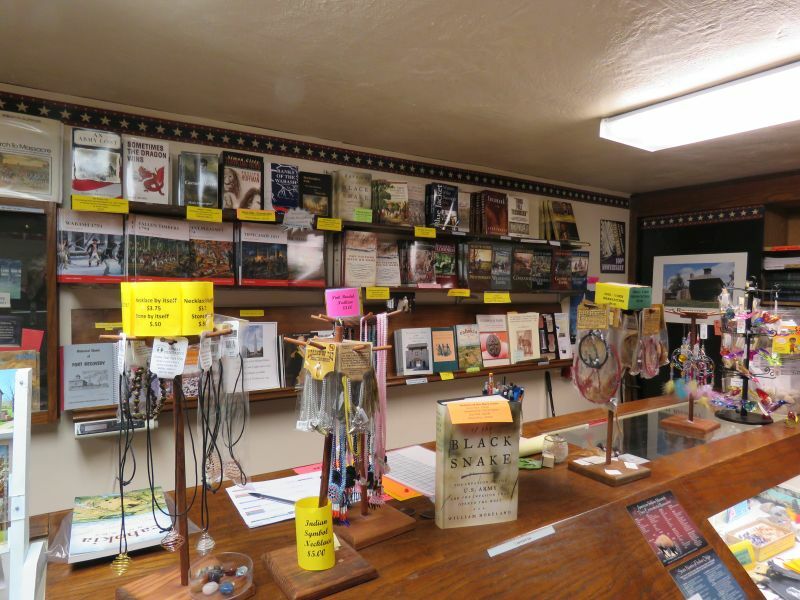 A modest fee can be avoided if you are an Ohio History Connection (formerly the Ohio Historical Society) member. I’m a member but I always pay entry fees, because I know how much they need the money. 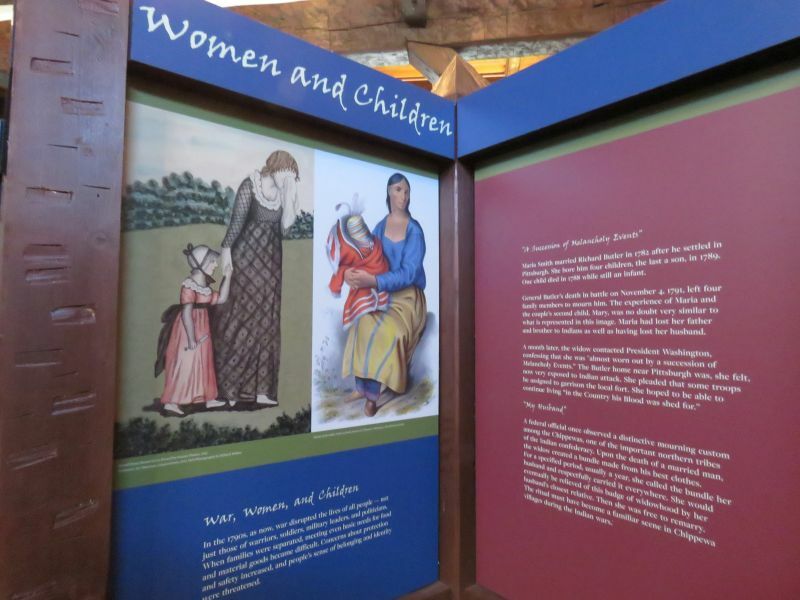 The lady working at the museum was very pleasant and knowledgeable. 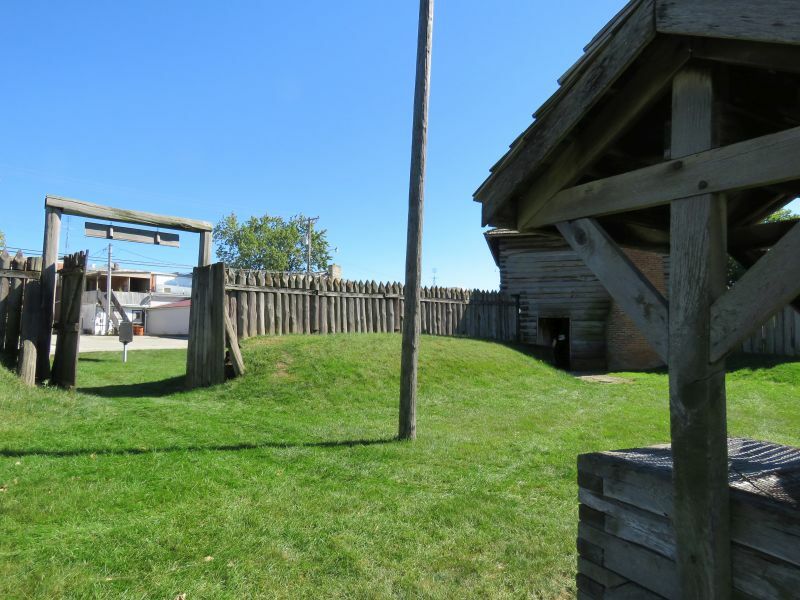 We discussed the fort and the battles that raged on this land centuries ago. She recommended a book, Autumn of the Black Snake: The Creation of the U.S. Army and the Invasion That Opened the West by William Hogeland, that recounted St. Clair’s Defeat, the creation of the controversial first standing army of the United States, and Anthony Wayne’s campaign that beat the Indian Confederation, leading to most of the Ohio Territory (and elsewhere) being conquered. I bought and read the book, and highly recommend it to anyone interested in the subject. It is very detailed and well-researched. 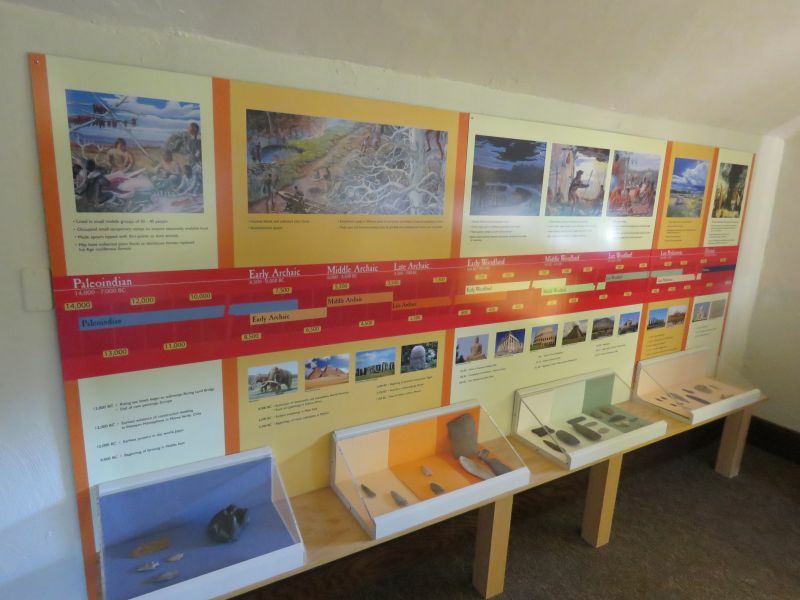 The museum had lots of informative text and graphics, with artifacts from the times, even from this very site. 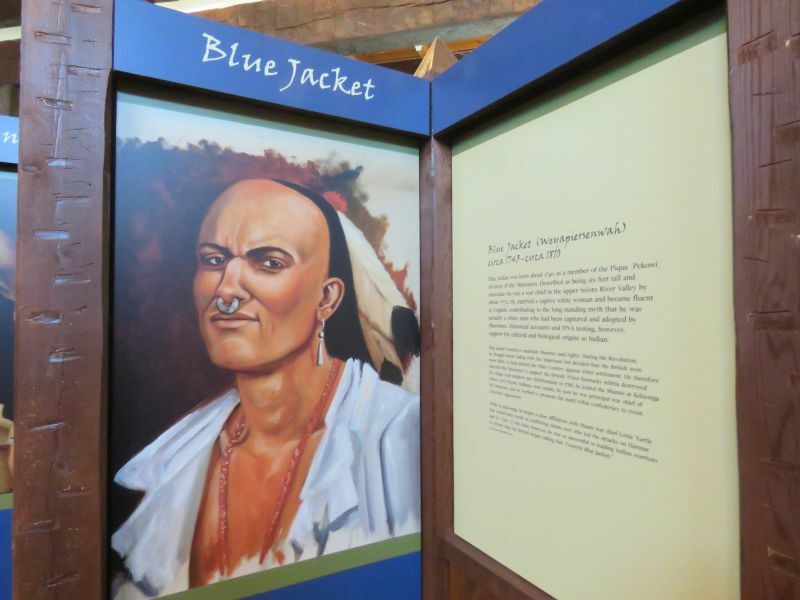 Blue Jacket was a courageous war chief, but had a falling-out with his Confederation co-leader Little Turtle. Trouble came from this division. It was difficult to keep the Confederation together, seeing how the tribes all had different views and there was no way to compel obedience. 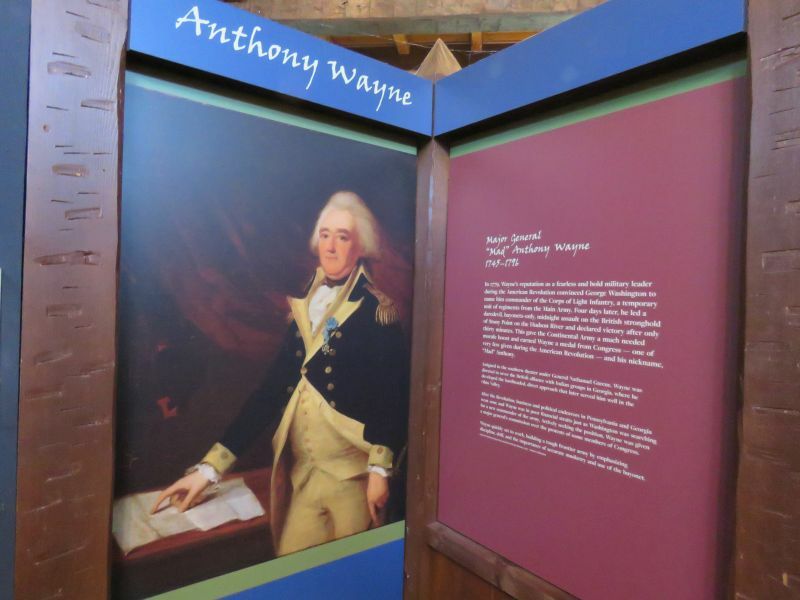 General ‘Mad’ Anthony Wayne was an abysmal failure as a businessman and a family man, but he was a superb commander of soldiers. From the time he was a child, he always wanted to lead men. 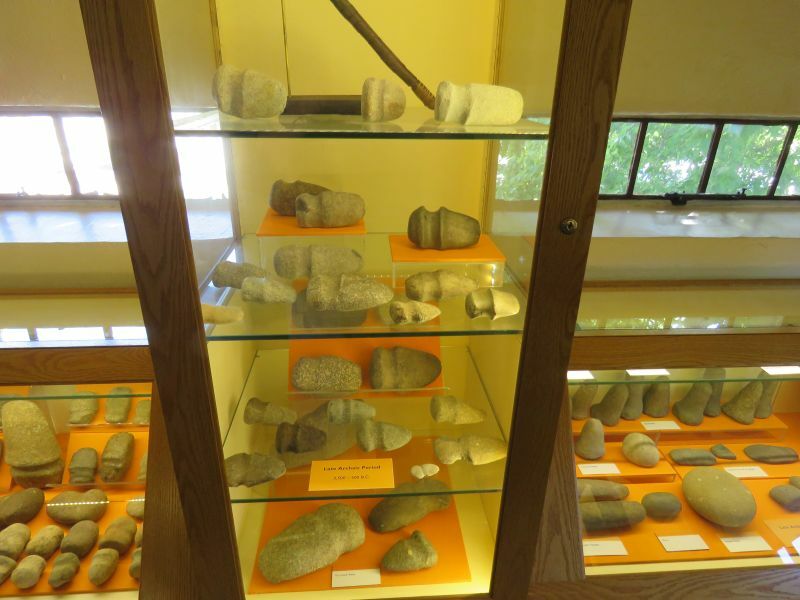 The artifacts were fascinating to look at. 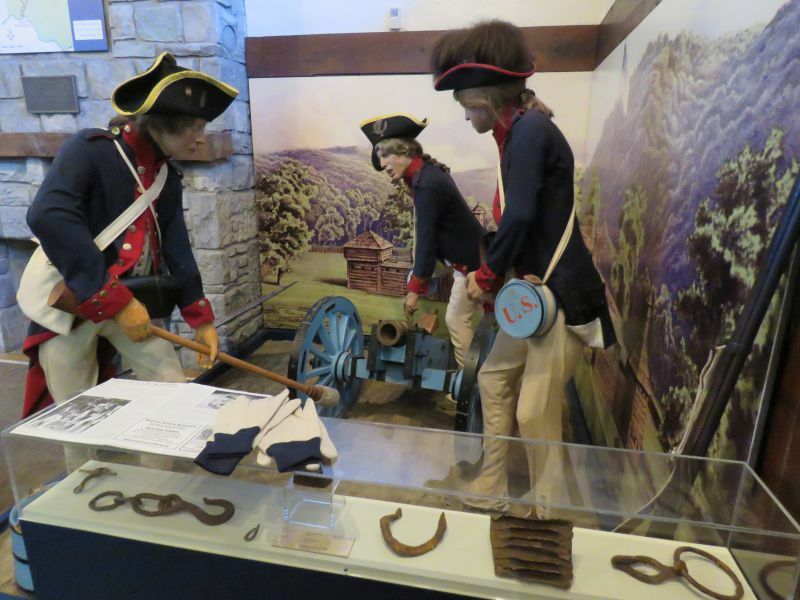 Life-size mannequins wore typical garb and carried equipment then in use. 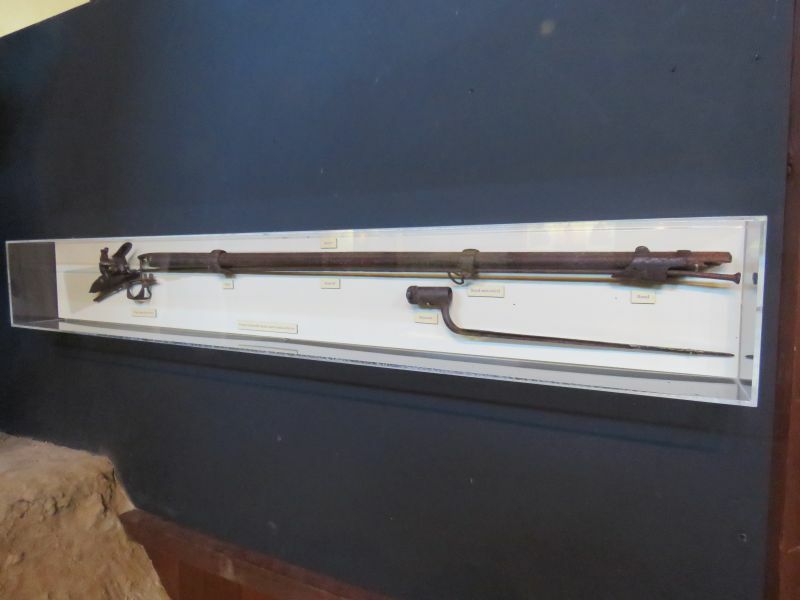 Flintlock muskets were the typical firearm of the time. Rifles (called such because of the rifling inside the barrels that increased accuracy) were also used. The lead ammunition was large compared to standard modern firearms. One could easily see why being hit in an arm or a leg often meant amputation. 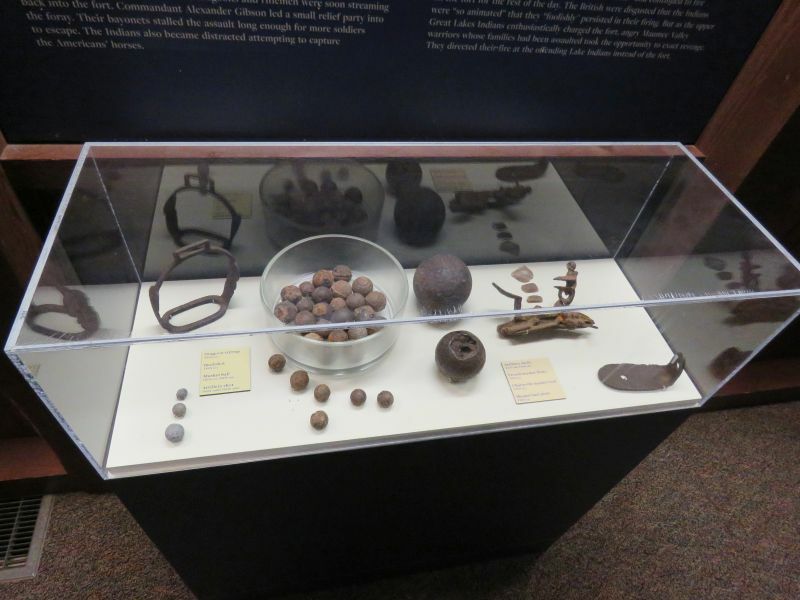 Men carried bullet molds and bars of lead to melt down into ammunition in those days. Gunpowder was a precious substance. Forts were strong defensive positions that usually could only be taken by siege, cannon fire or subterfuge. Women and even children would accompany troops (especially militias). 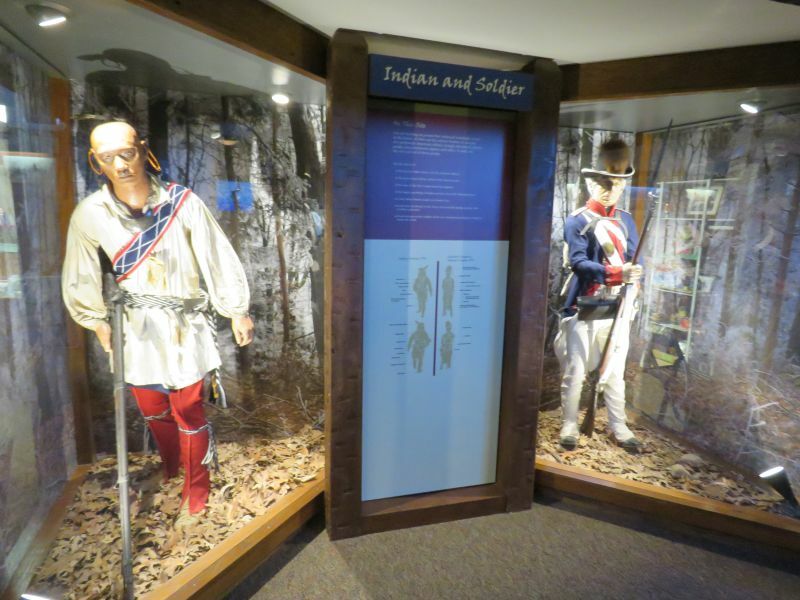 Western Ohio saw a whole string of forts and battles as Americans moved north from Cincinnati (then a village along the Ohio River flatboat route) towards Fort Detroit, Great Britain’s main outpost in the Northwest Territories. All of this territory was Native American land supposedly ‘bought’ by the government, eager to pay off Revolutionary War soldiers with land- since the government was deeply in debt. 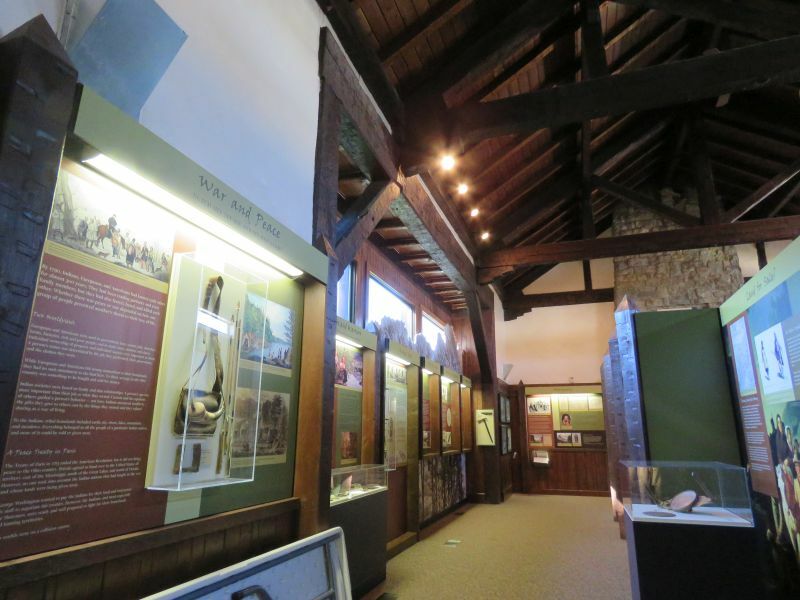 Upstairs was a room devoted to ancient Native American artifacts. 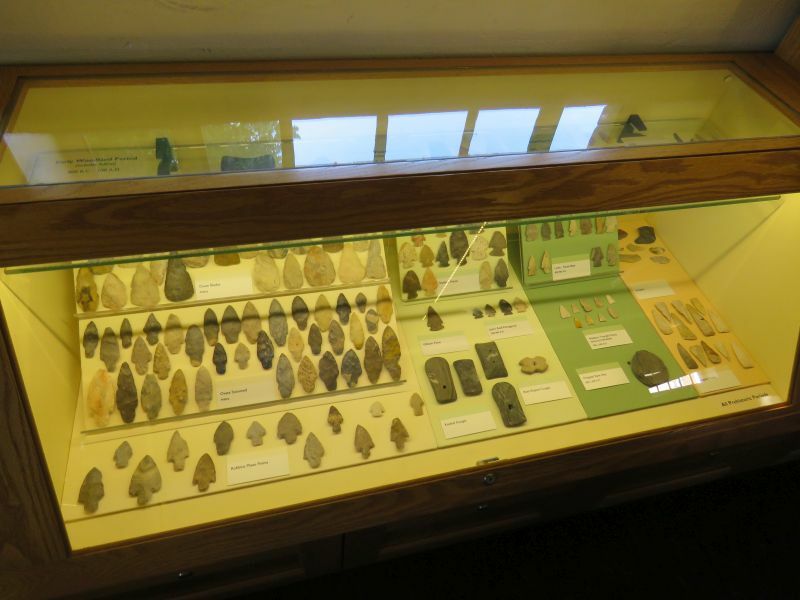 Here’s a nice timeline of the inhabitants of North America and what their cultures were like- hunter-gatherers, agriculturalists, mound builders, copperworkers…all with distinctive stone tools. 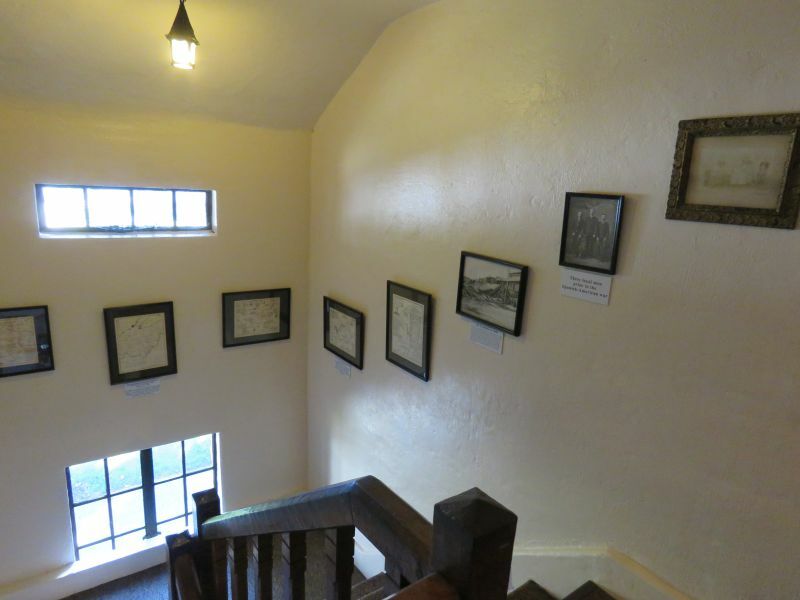 Looking down at the ground floor of the museum- what a great place! 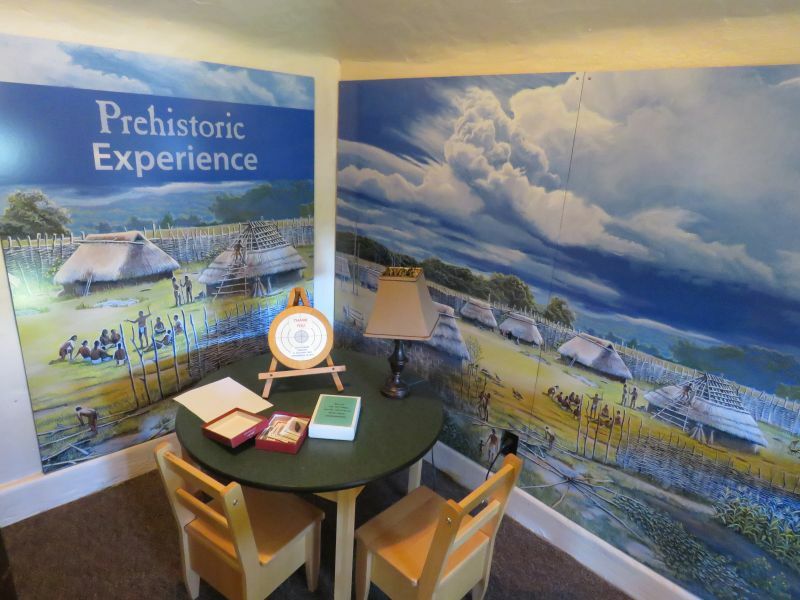 History really came alive for me in Fort Recovery. 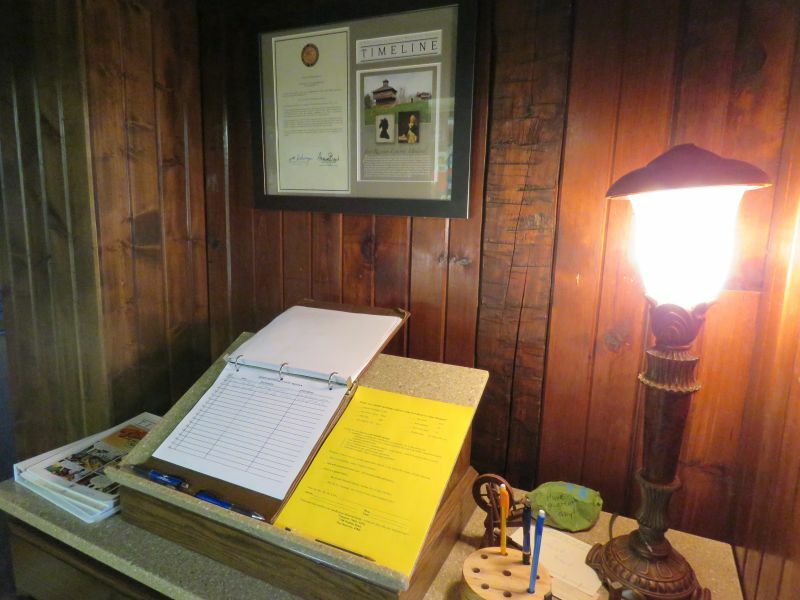 Always sign the guest book! ← North America’s Rarest Warbler. Another great post! Makes me proud to be from Ohio. So much important history. Love your observations and writing!! Many thanks, Cheryl! 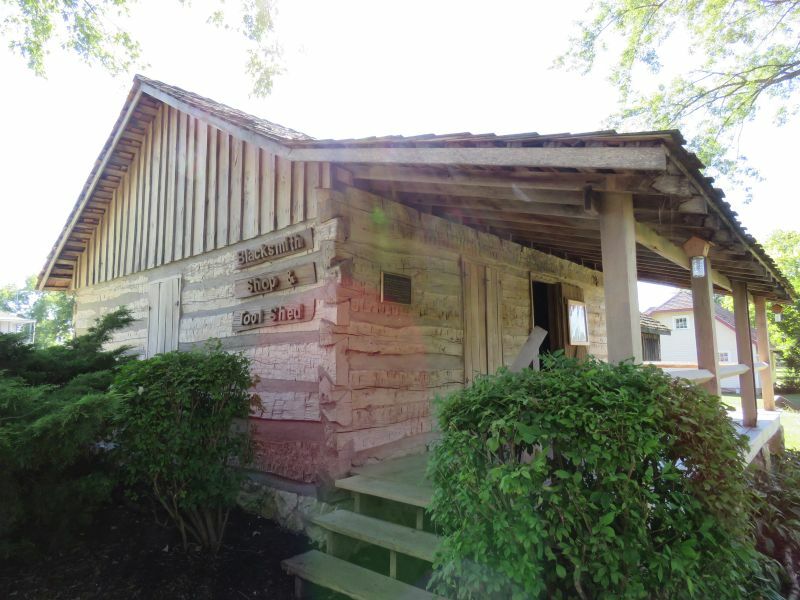 I’m starting to like Ohio history as much as I like Ohio birding! What an awesome post! Fascinating to see the huge chunk of history there and gratifying to see so much of it preserved. 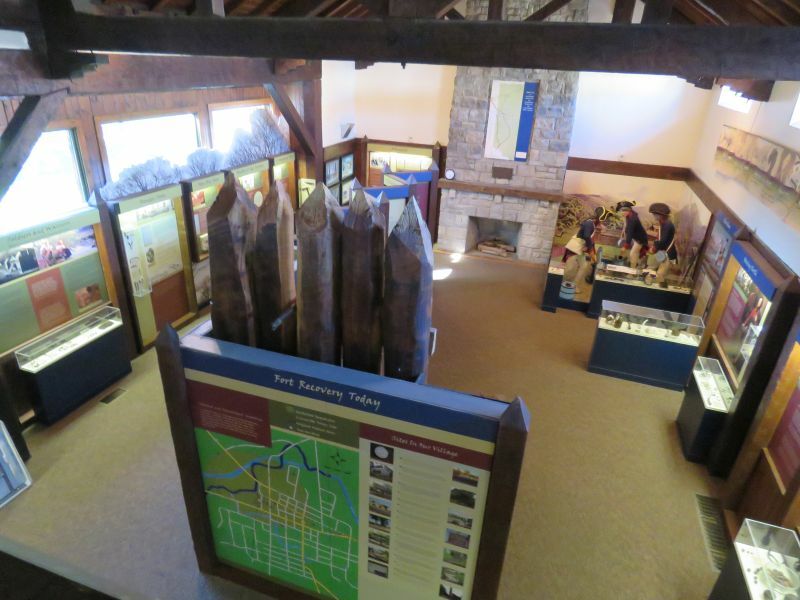 I was SO impressed by the history preserved there, Montucky! There’s so much to learn! 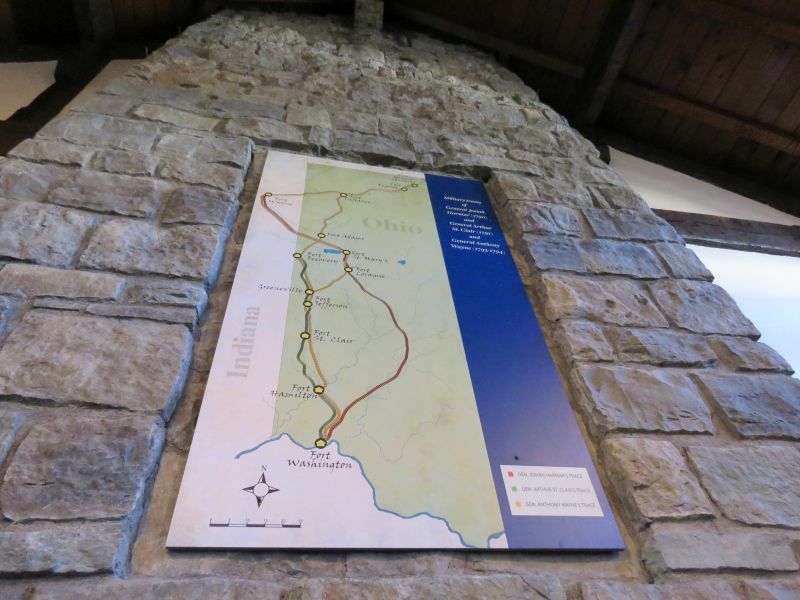 Excellent post, a museum and memorial I didn’t know was there but which is now on my list to check out! Hi, I’m actually from Fort Recovery! I stumbled upon this post while doing research for my Art semester exam. I’ve lived here my whole life, so I guess that some of the cool stuff here sort of becomes a backdrop after a while. However, it’s awesome to know that all of the historical preservation’s are put to good use and are appreciated by people from out-of-town. This is a part of American history that I think a lot of people forget about, or don’t realize the importance of to America today. Thanks for taking the time to visit our 225 year old town and valuing history in general. 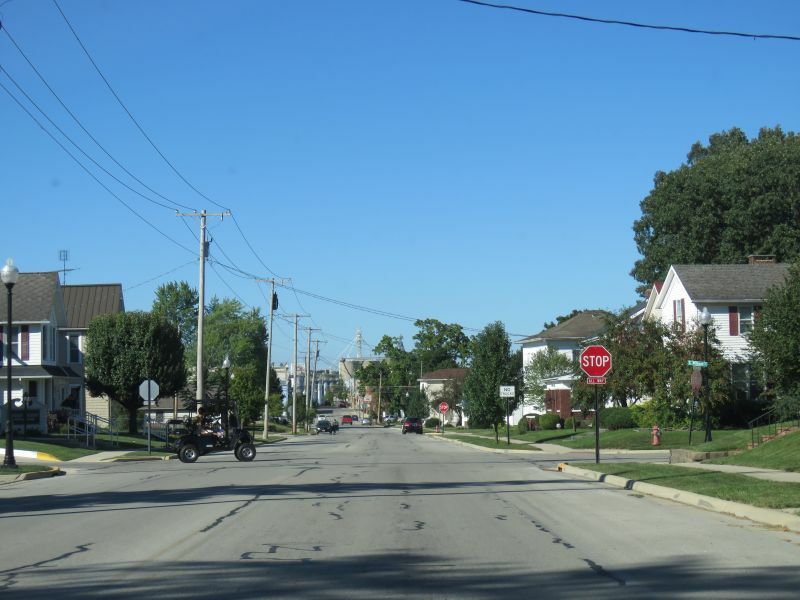 You’re welcome back anytime, but town is especially lively during the Jubilee, Tractor pulls, the Christmas Open House, and Car shows. Or in about 23 years when we have our 250 years celebration! Thanks for comment, Caitlin! 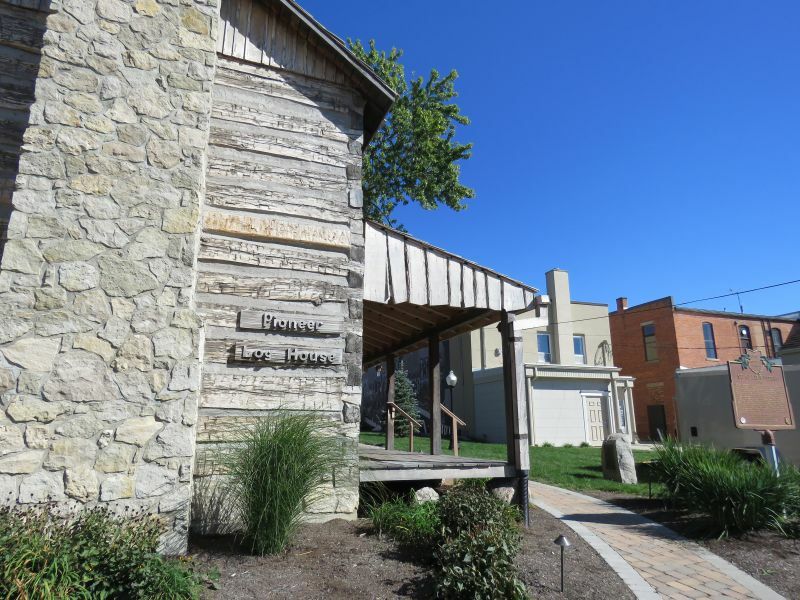 I was very impressed by all of the history in Fort Recovery and am sending at least a couple new visitors there by talking the town up. I’ll be back!